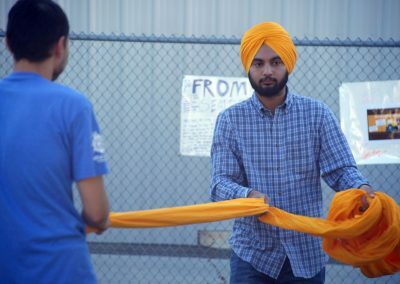 “Chardhi Kala” is the spirit of relentless optimism, a philosophy that empowers followers of the Sikh faith to persevere and grow from hardship. 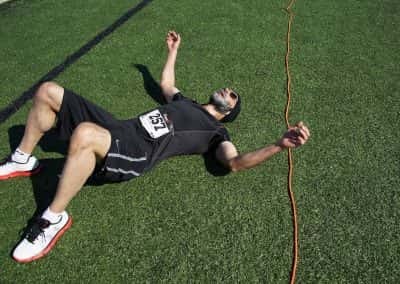 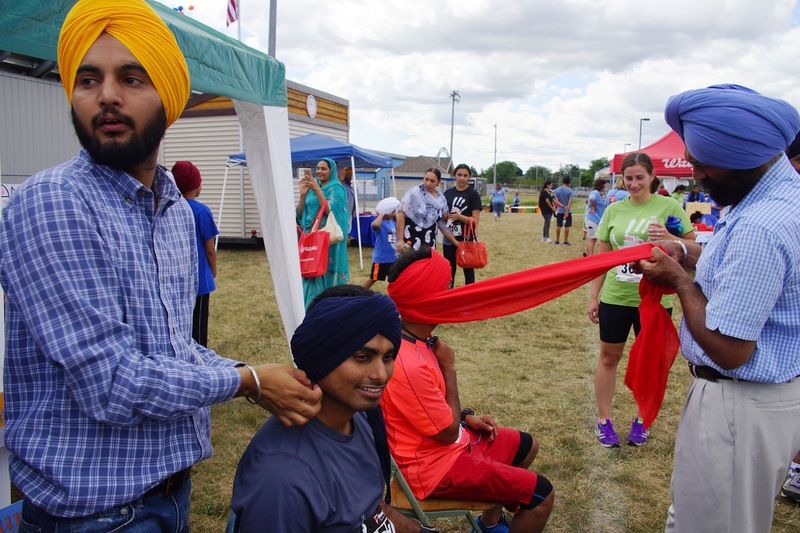 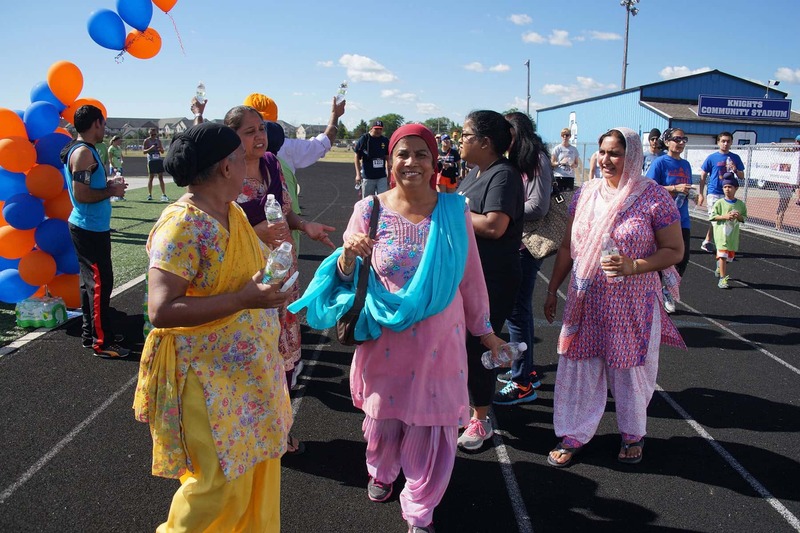 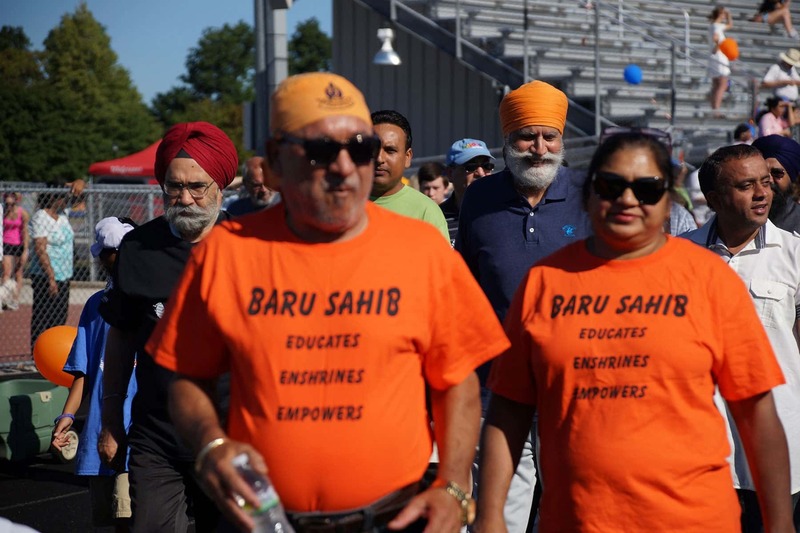 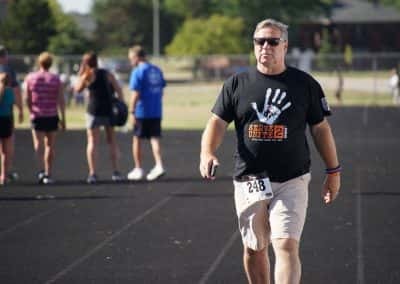 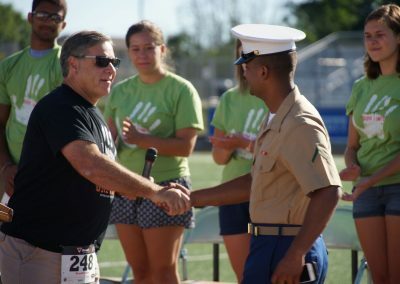 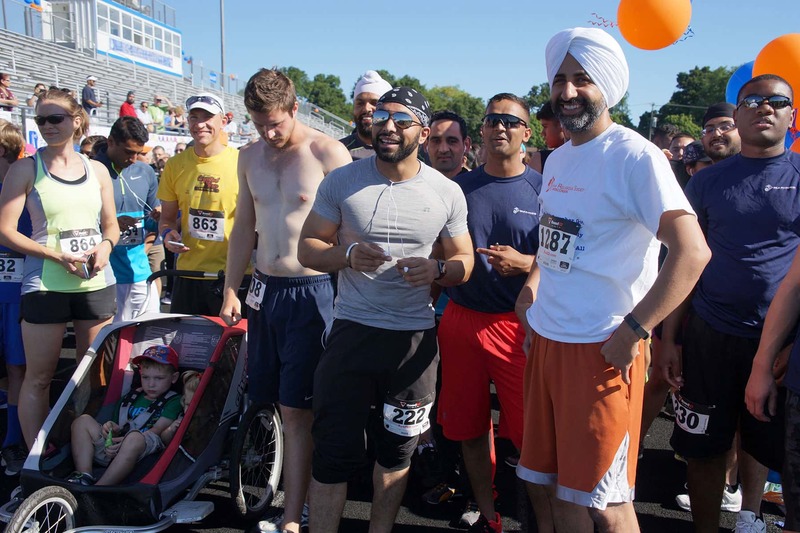 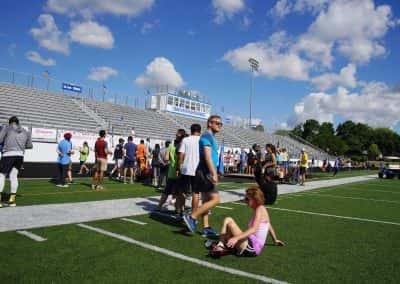 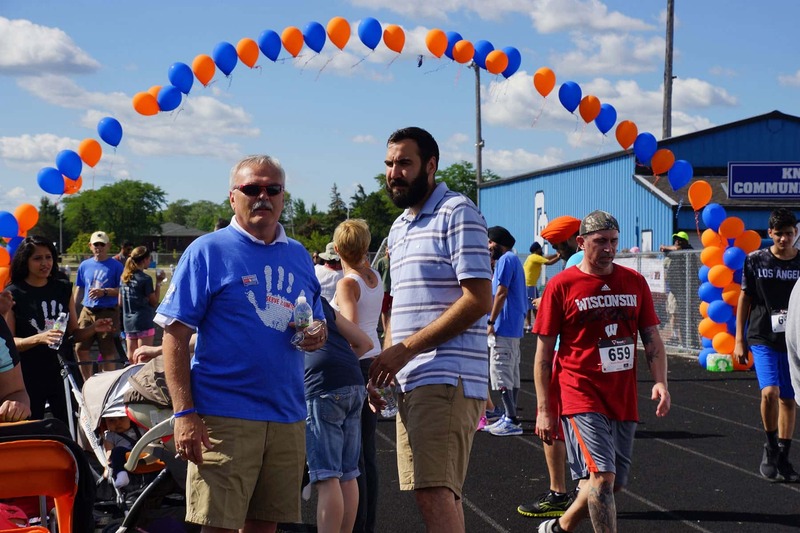 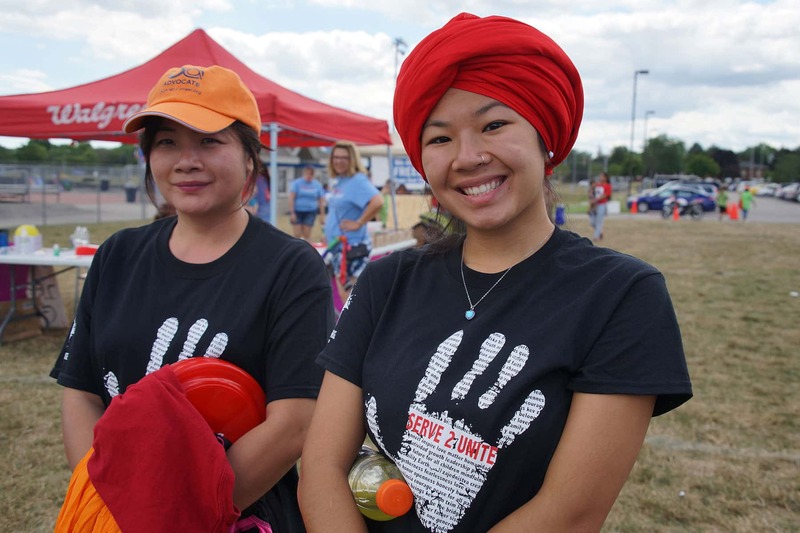 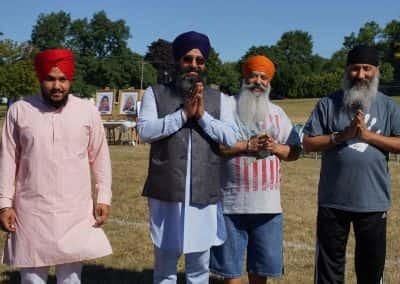 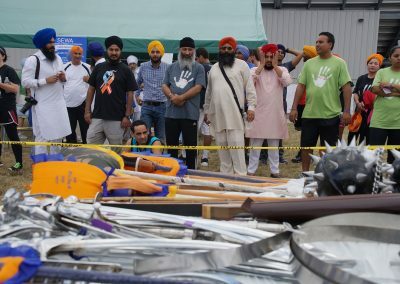 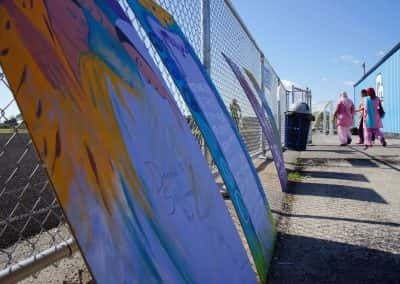 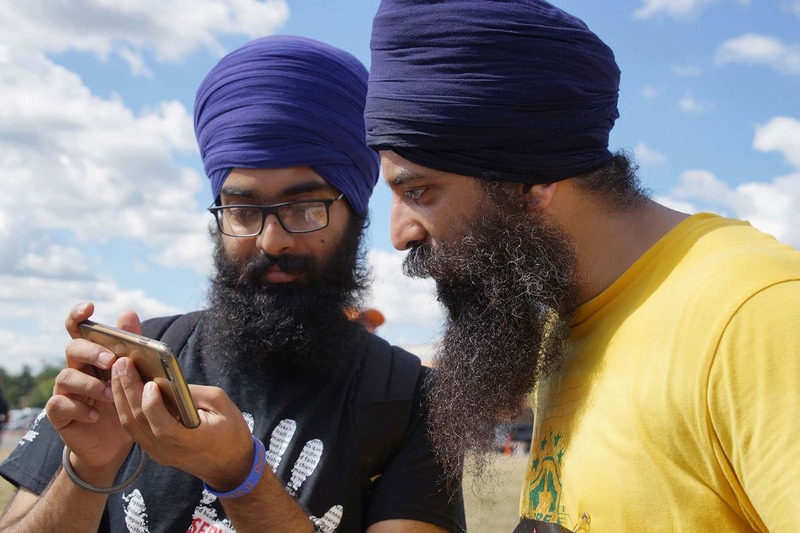 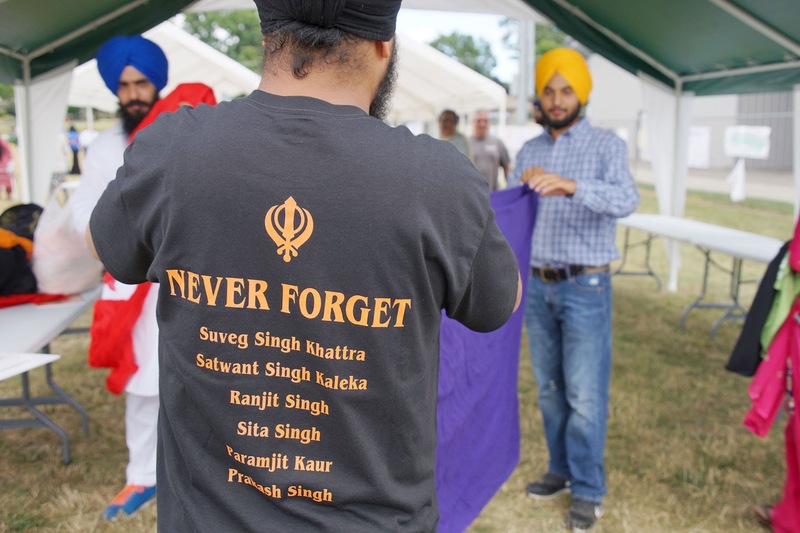 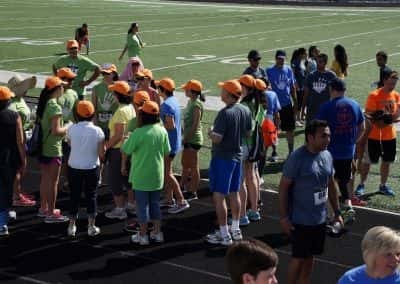 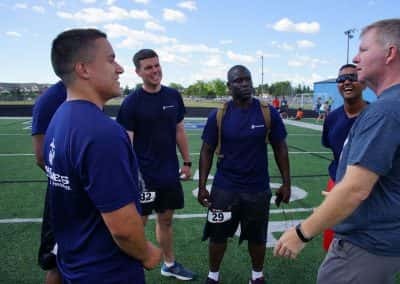 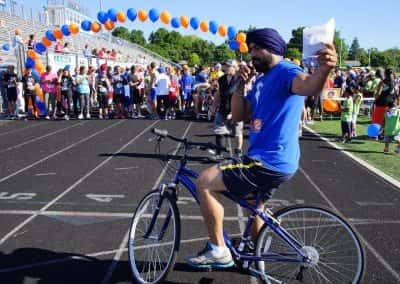 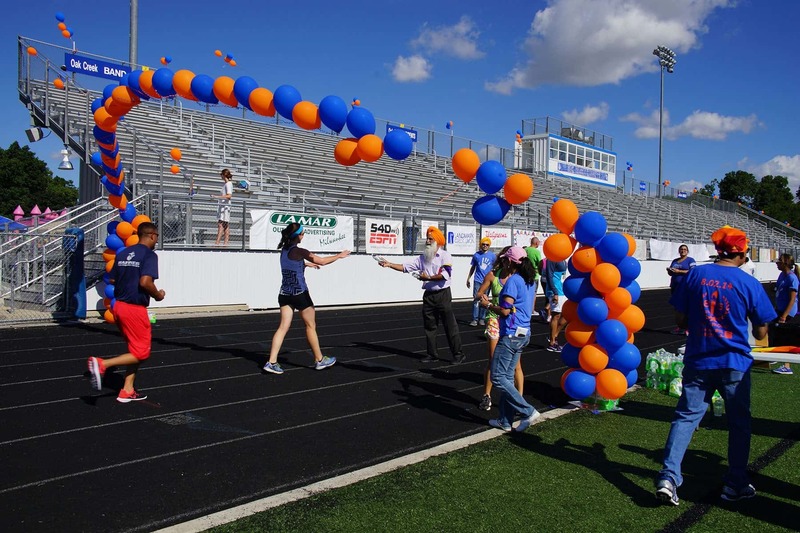 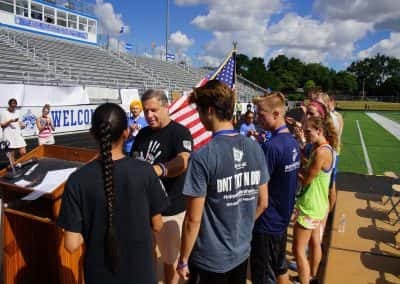 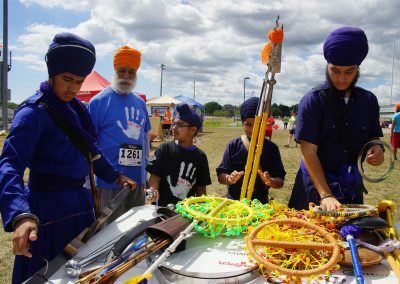 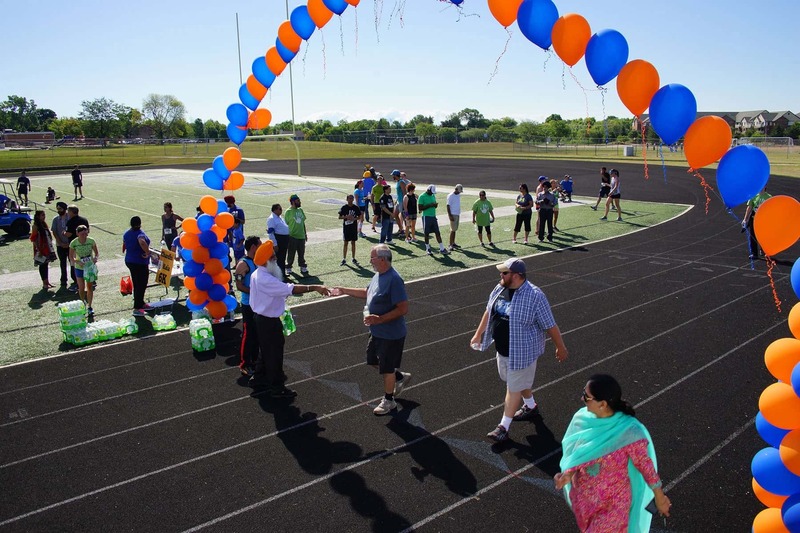 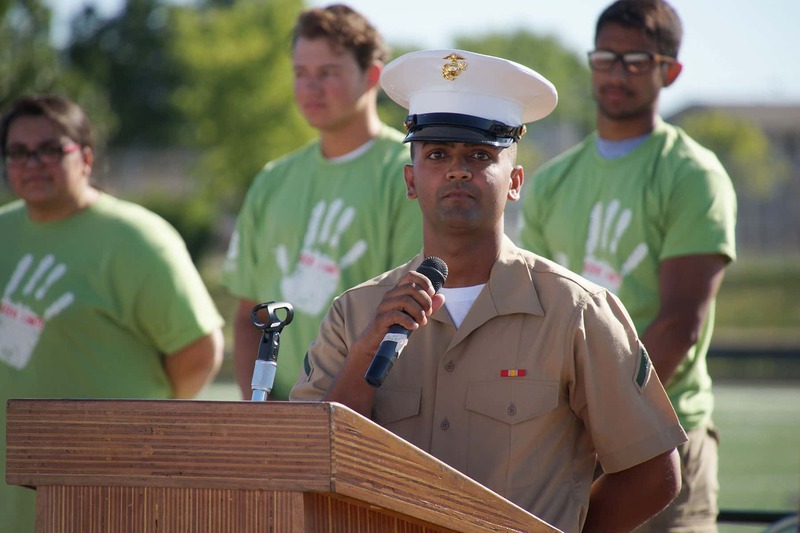 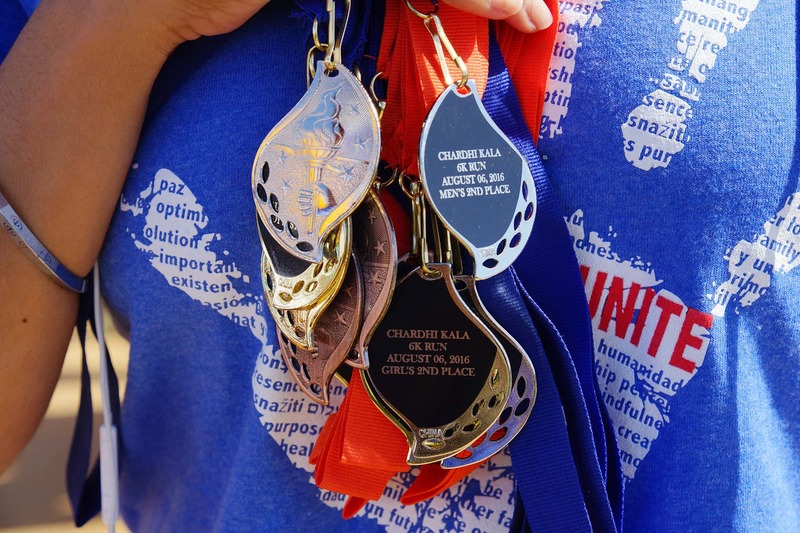 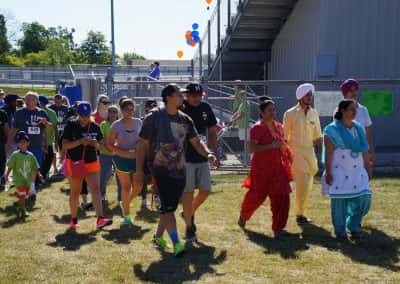 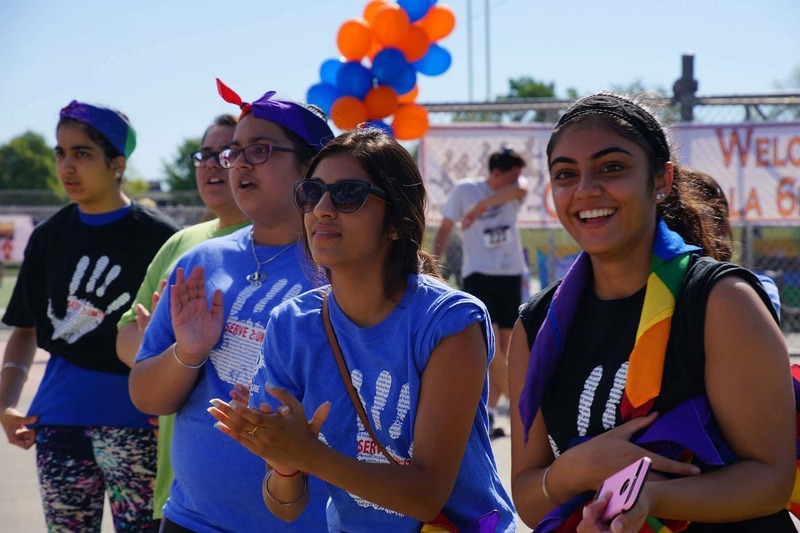 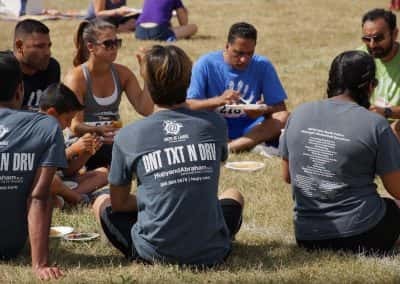 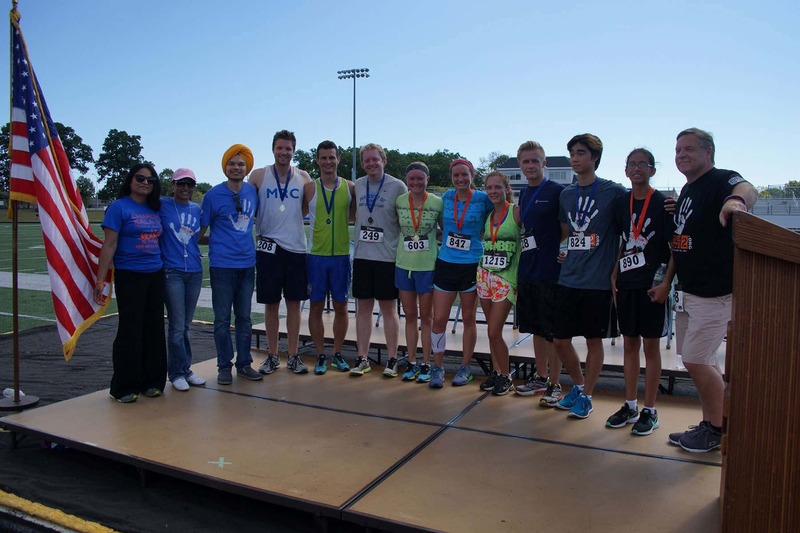 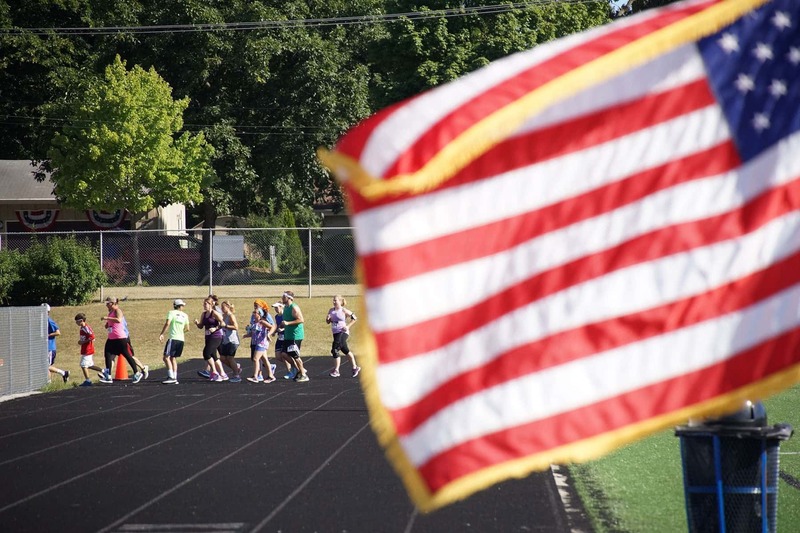 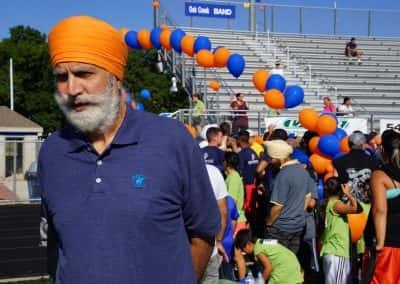 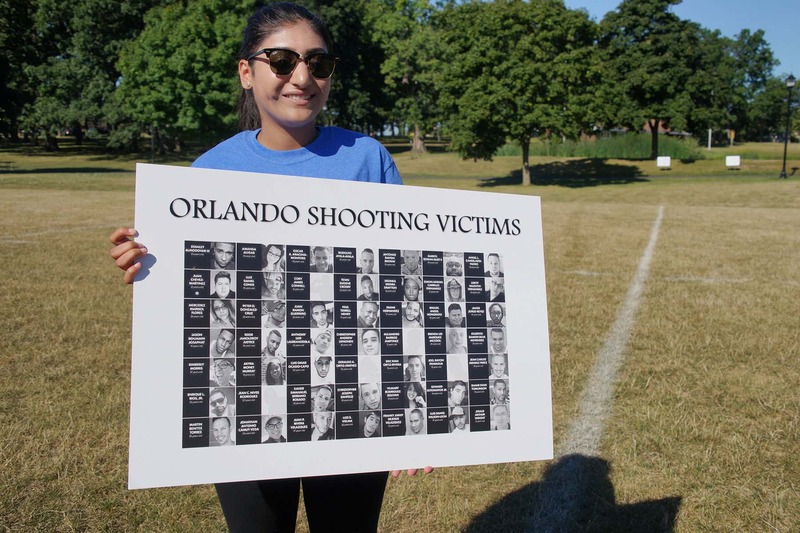 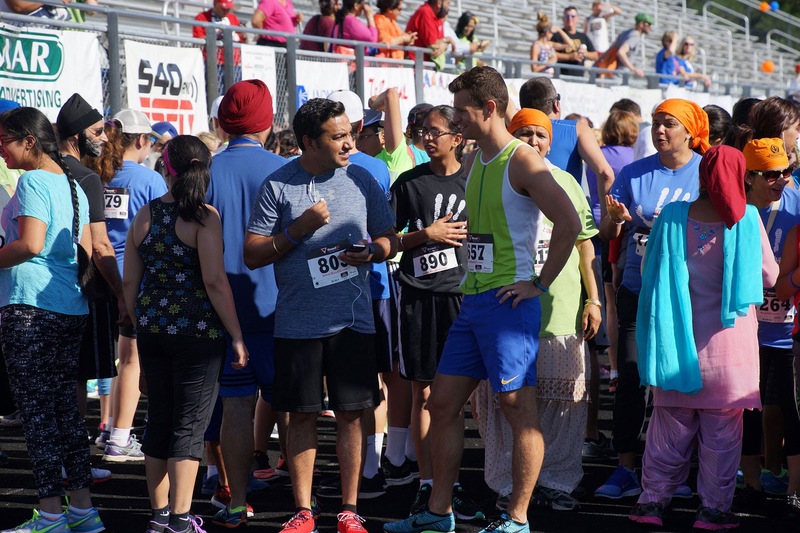 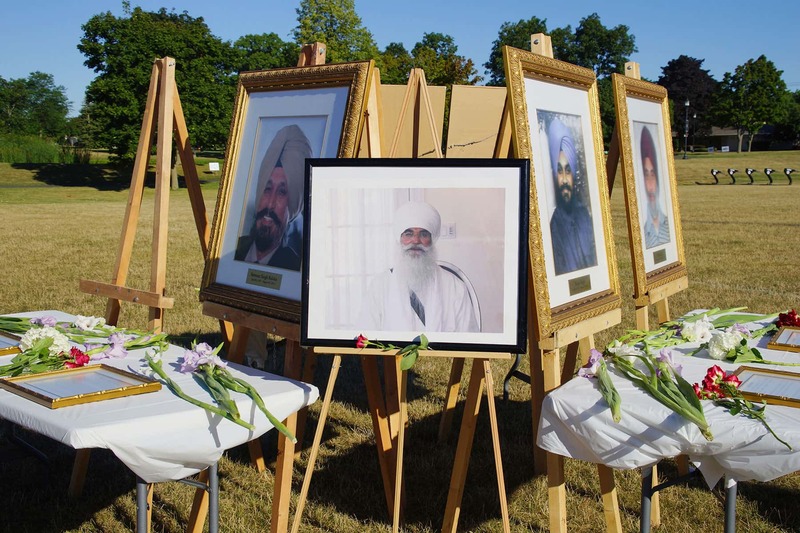 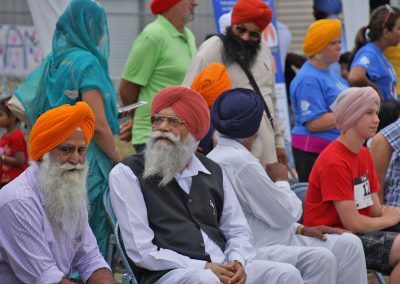 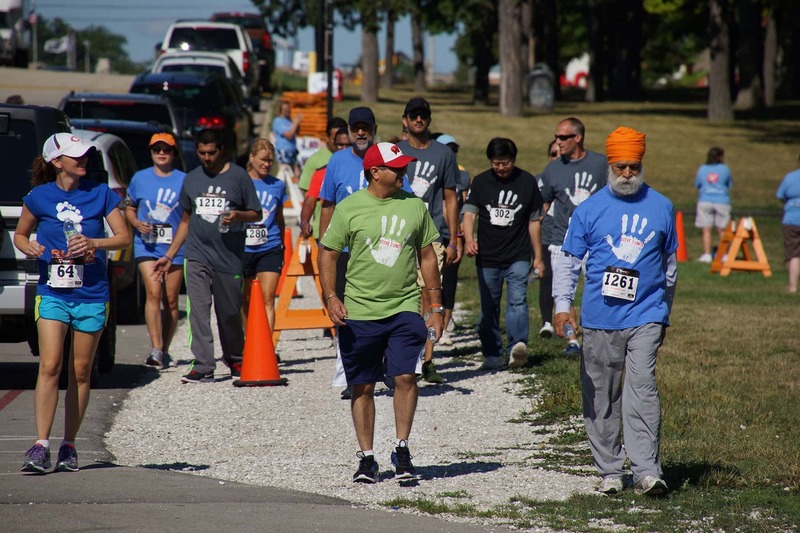 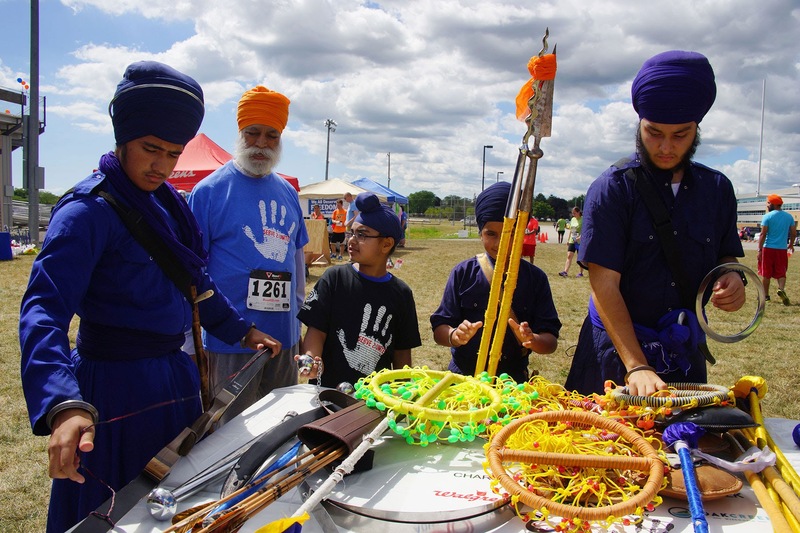 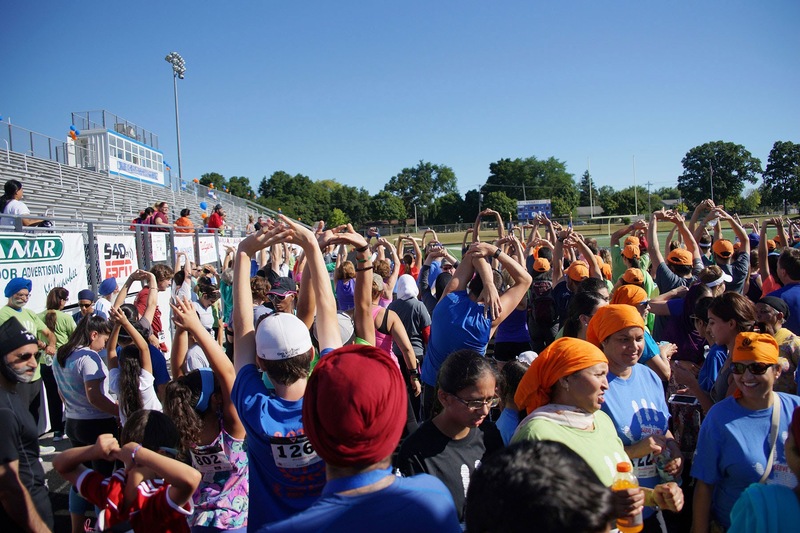 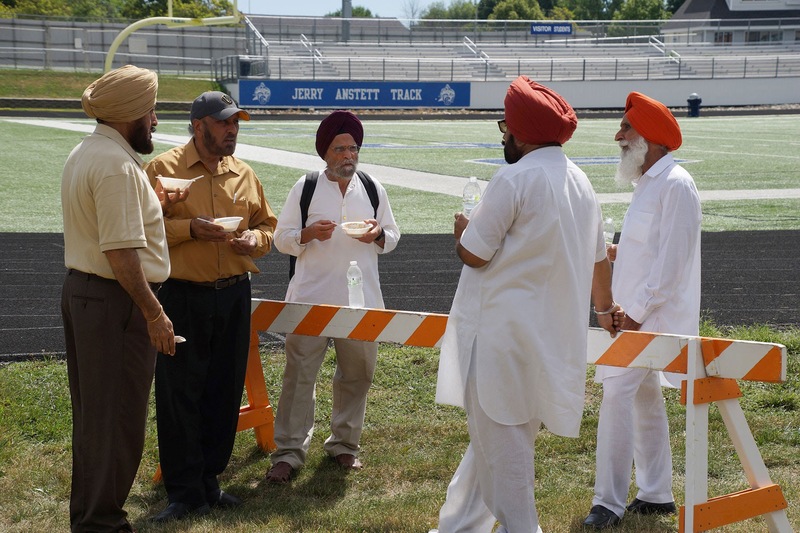 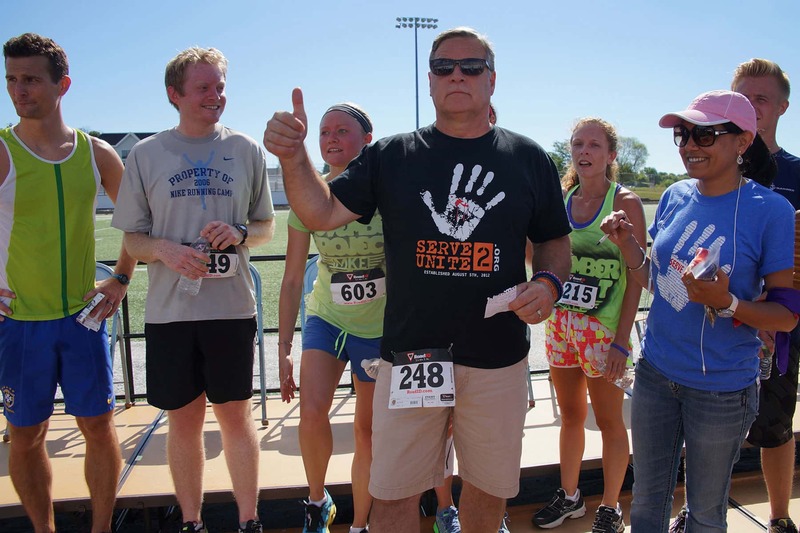 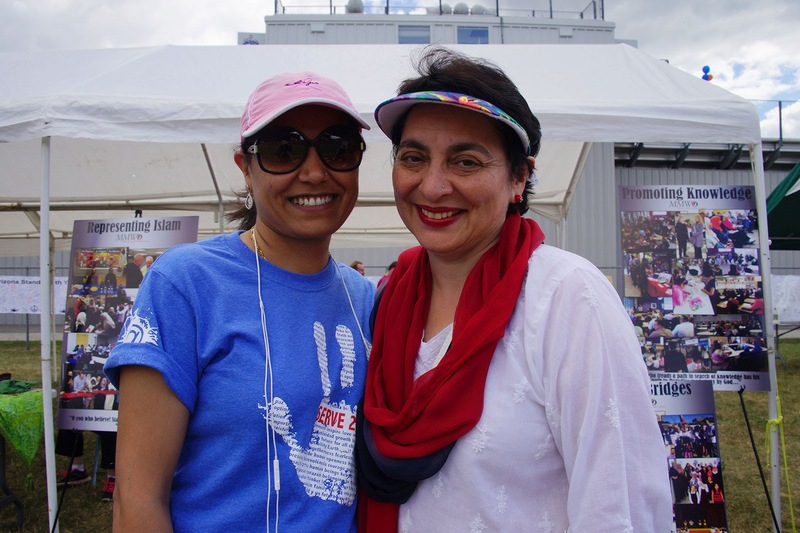 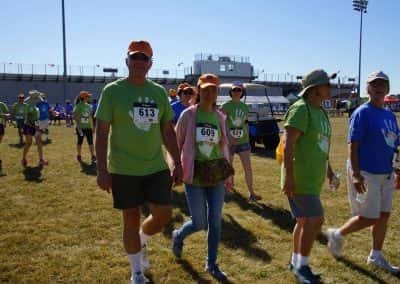 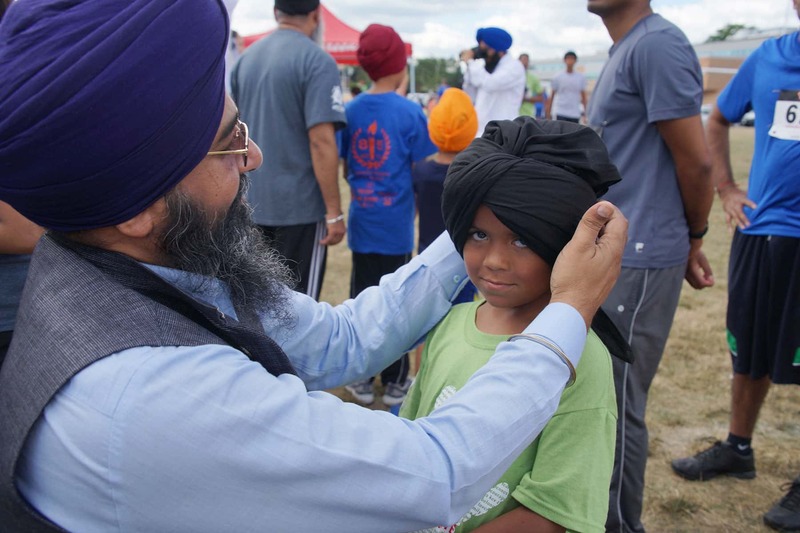 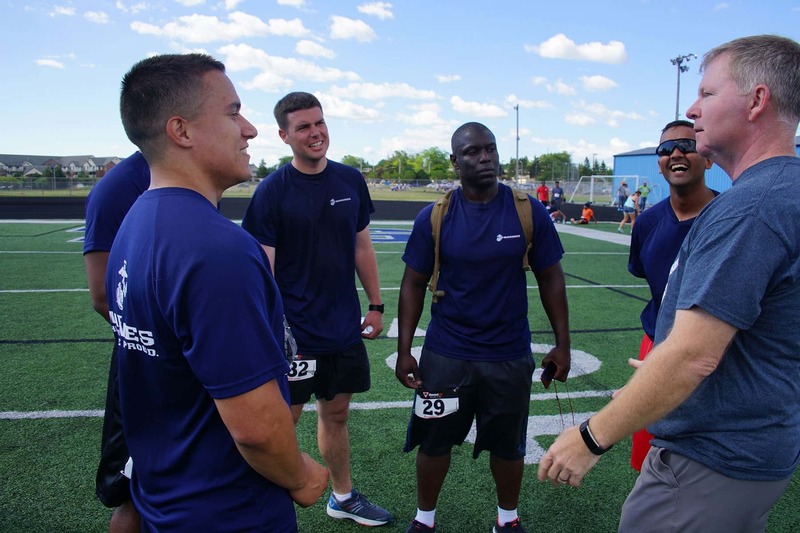 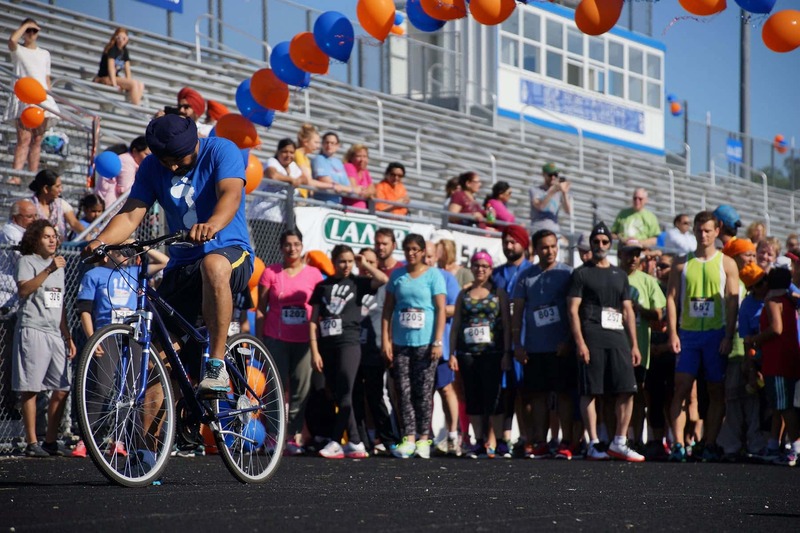 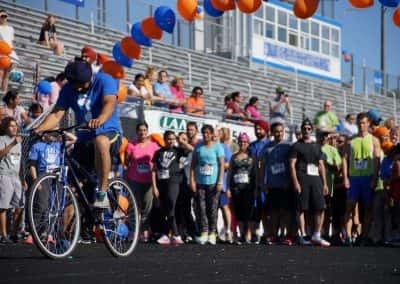 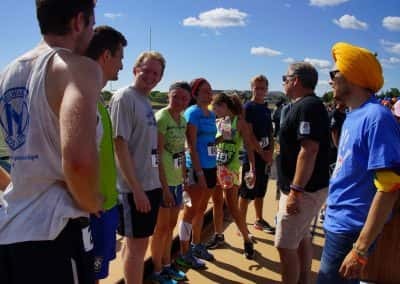 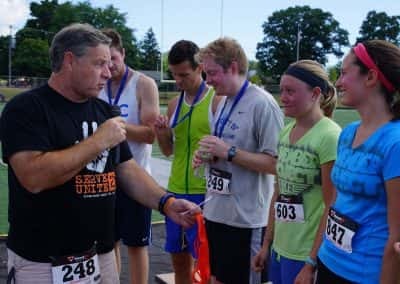 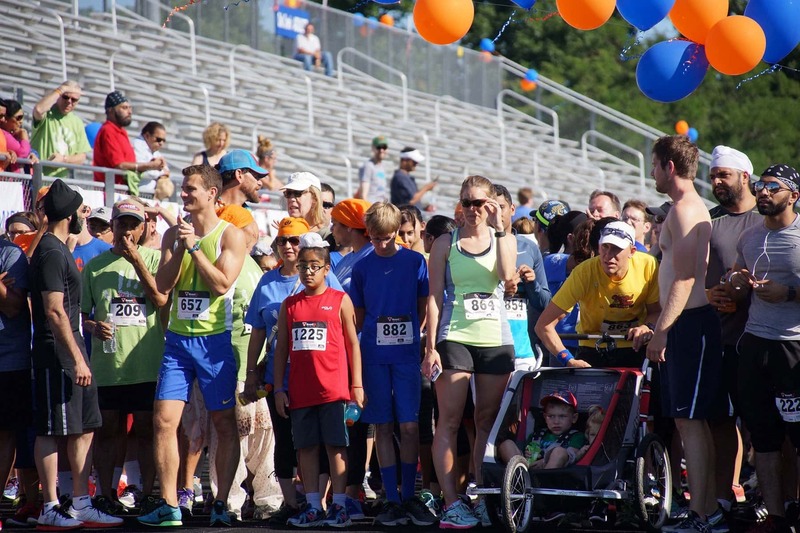 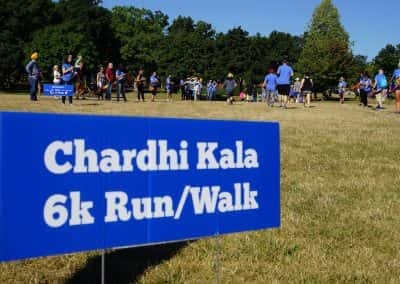 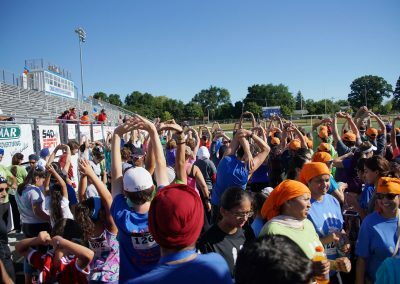 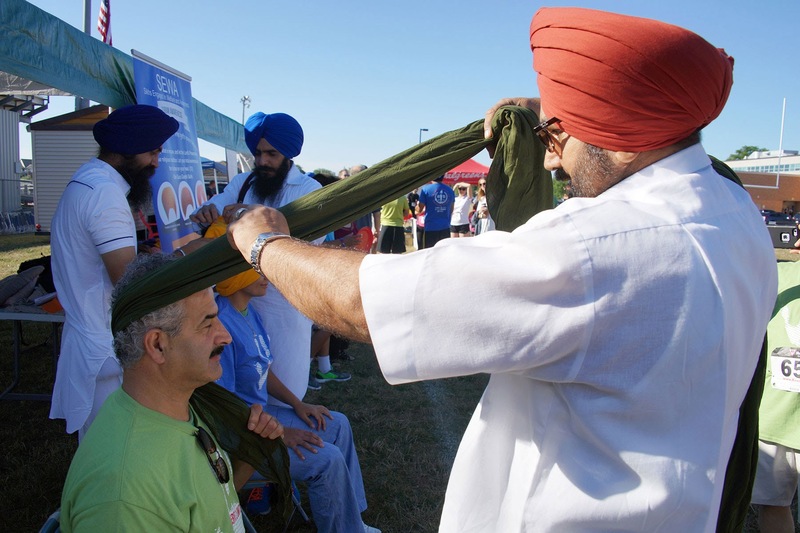 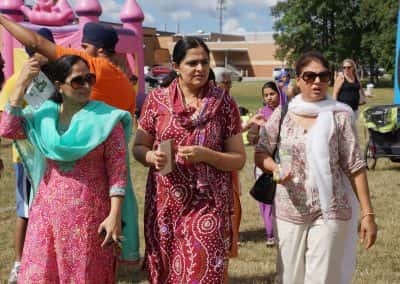 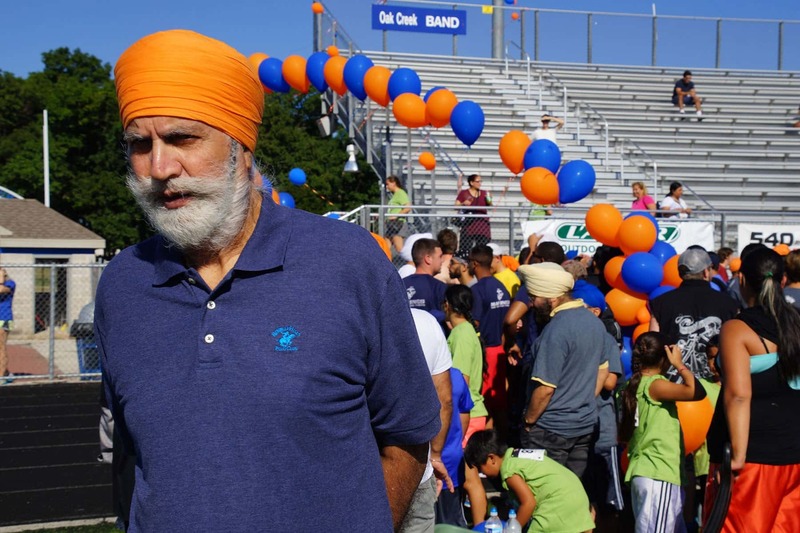 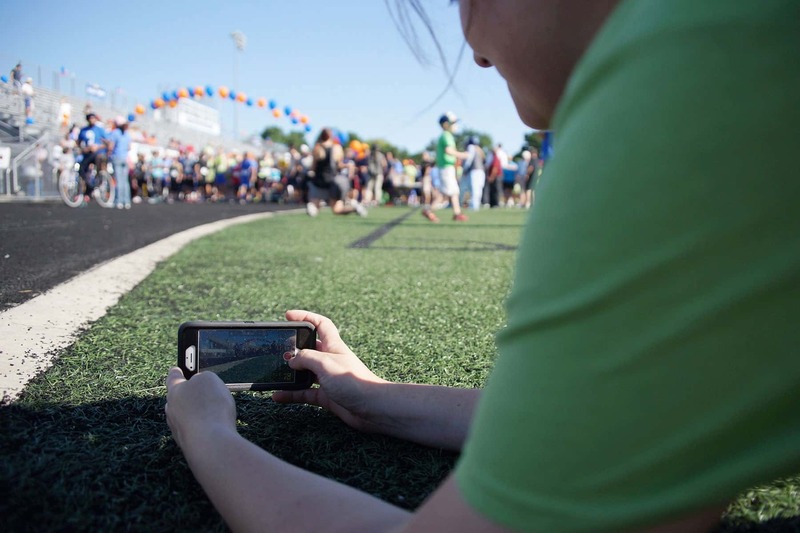 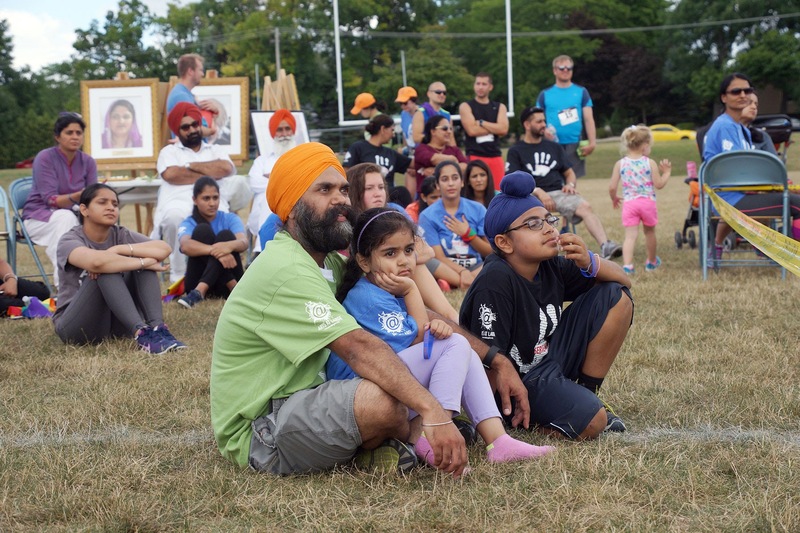 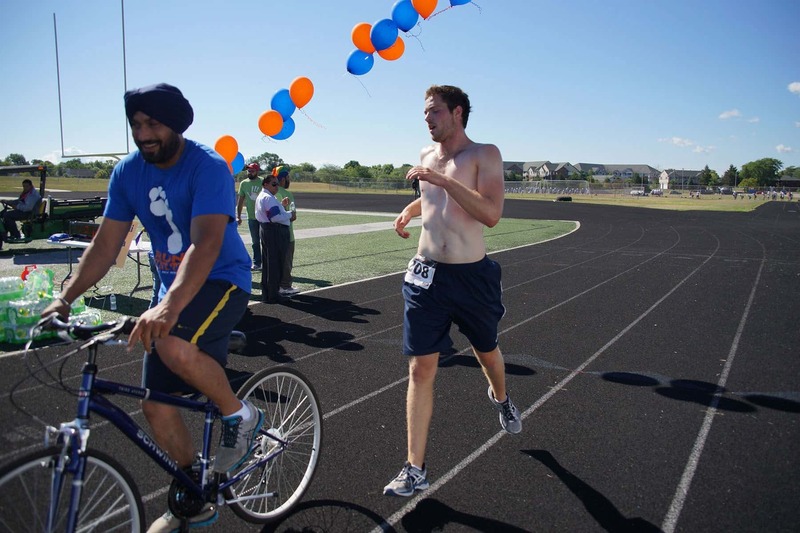 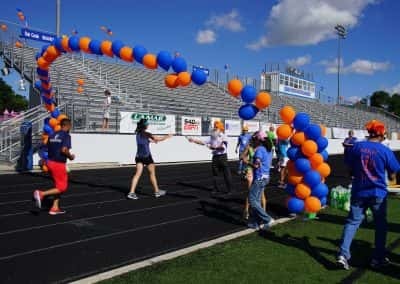 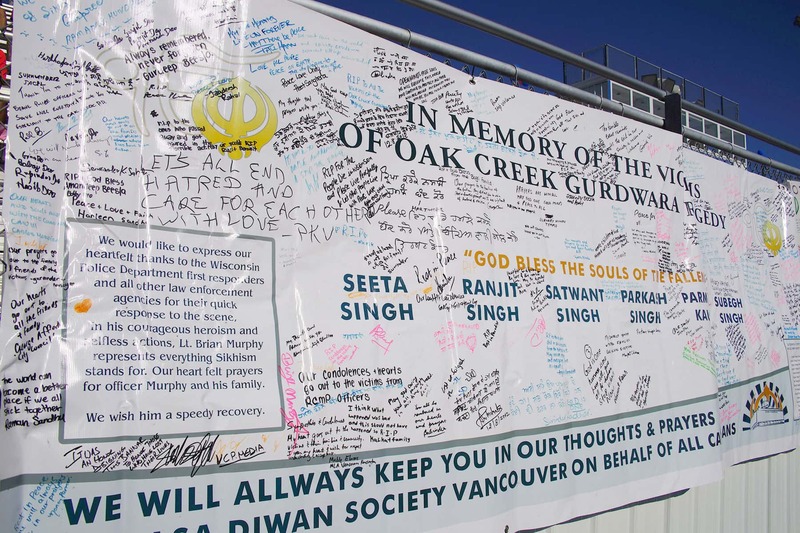 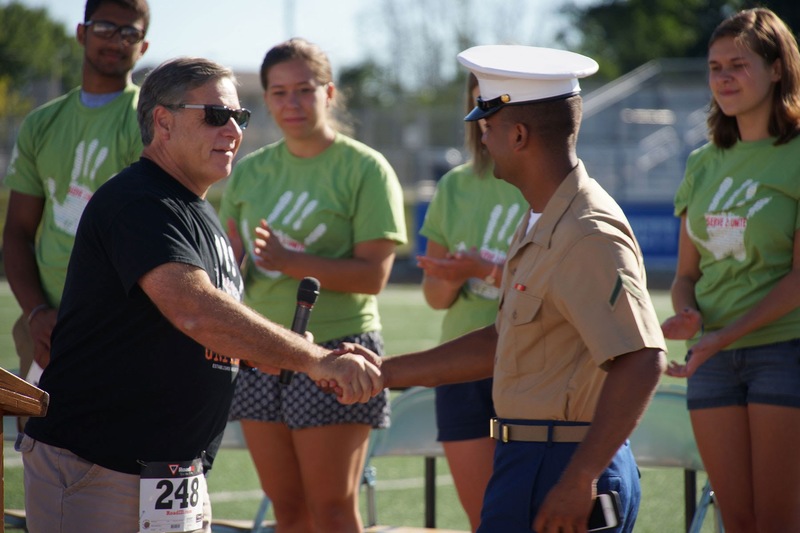 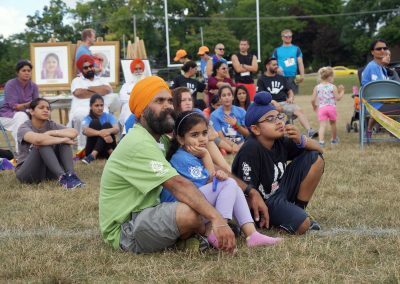 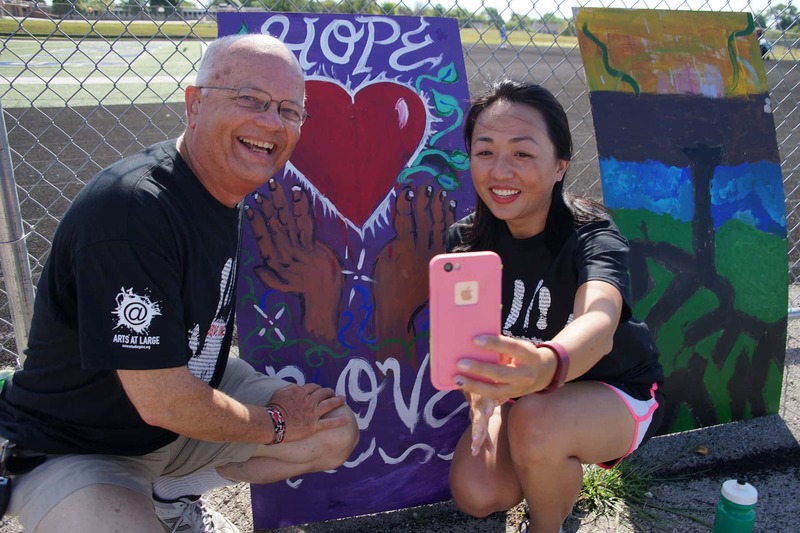 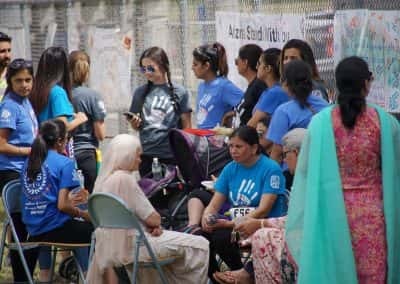 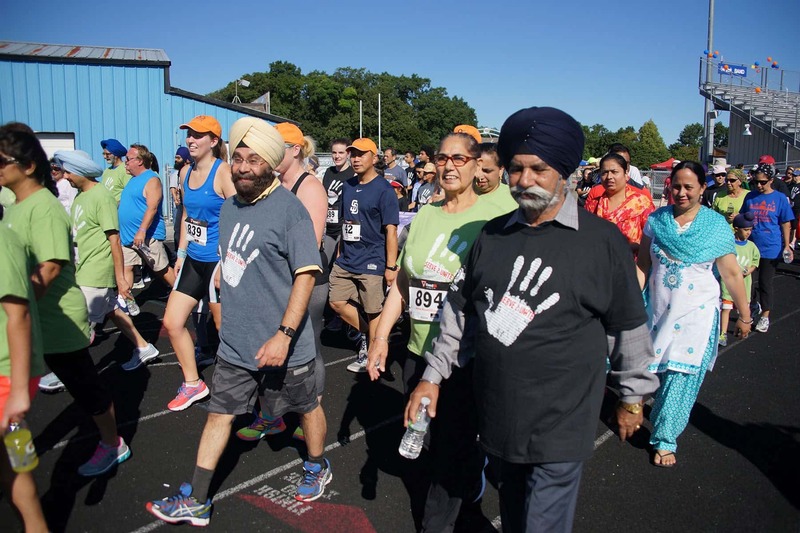 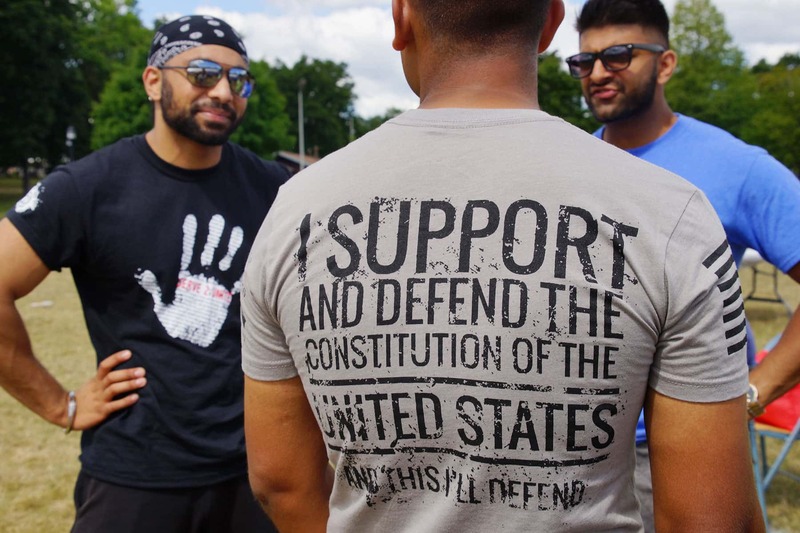 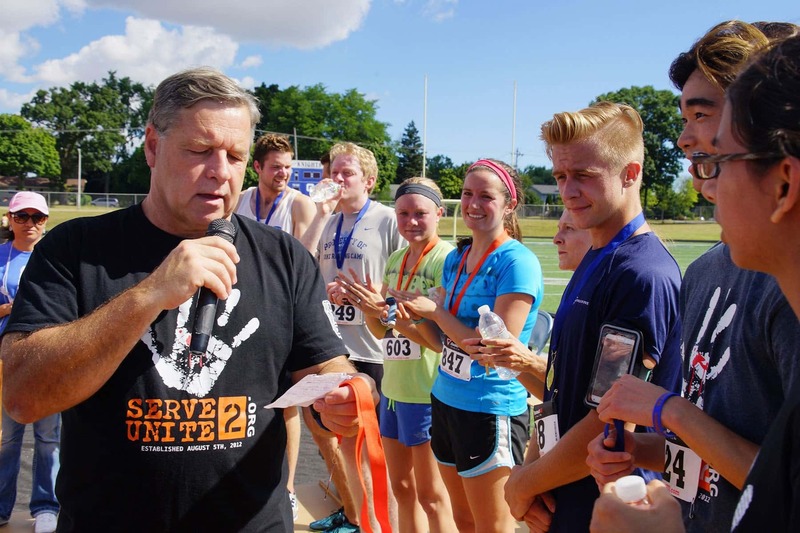 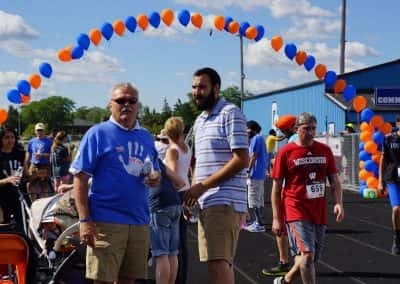 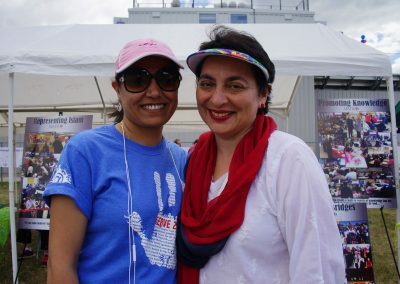 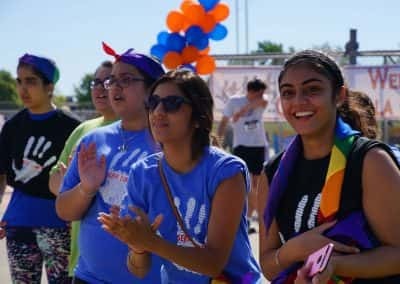 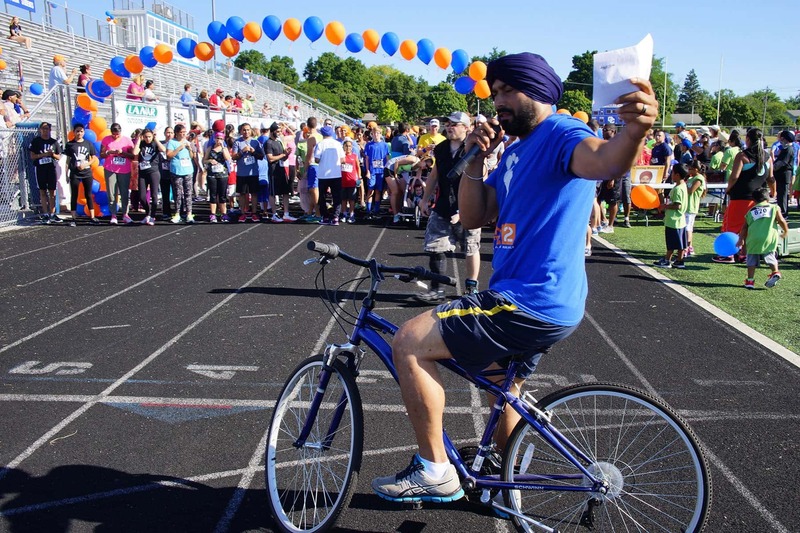 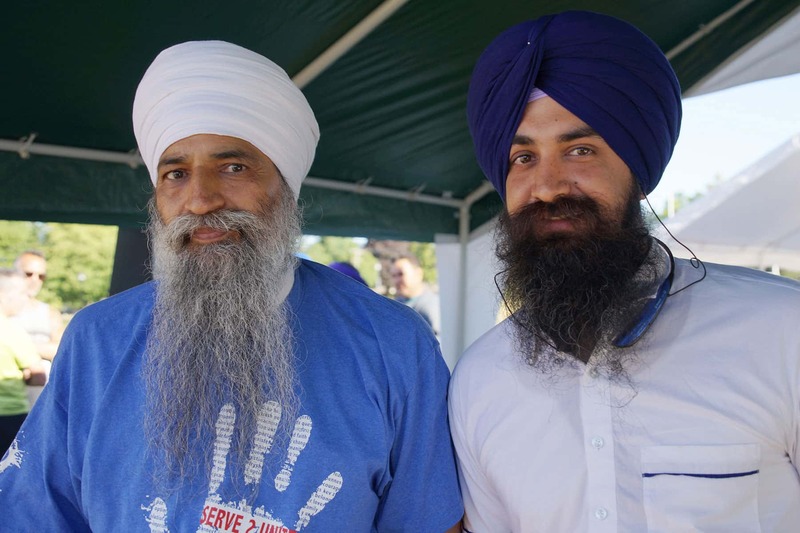 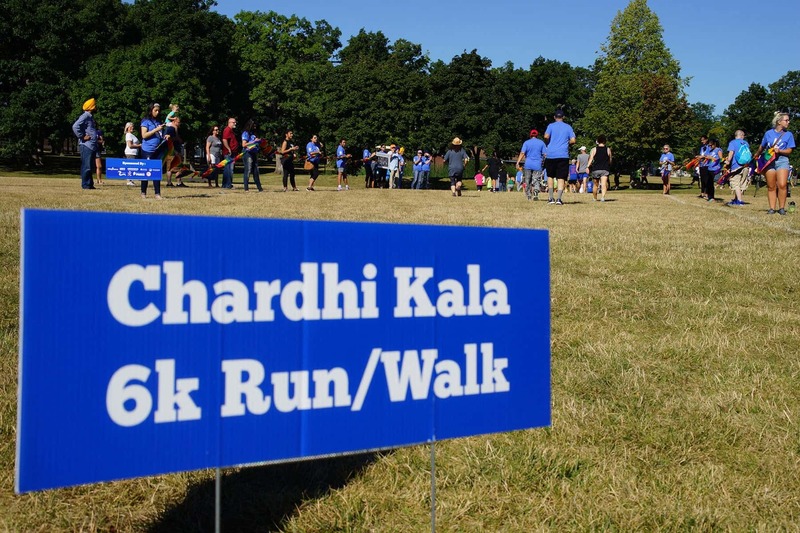 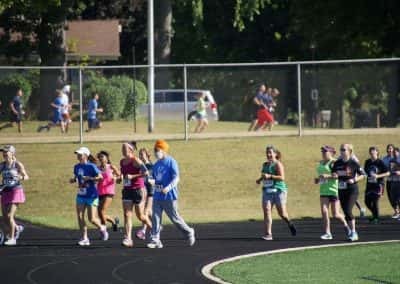 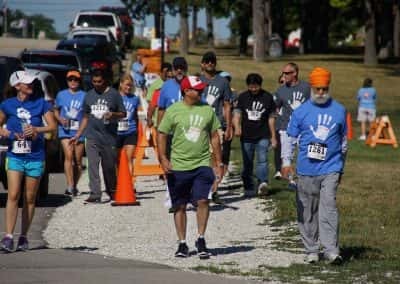 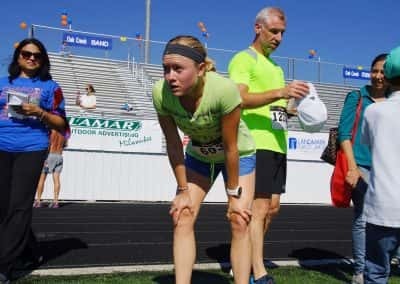 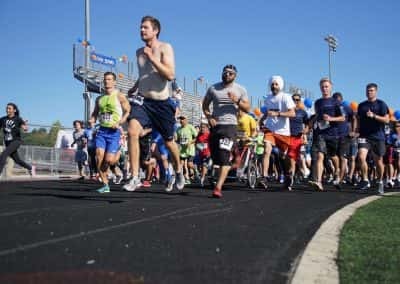 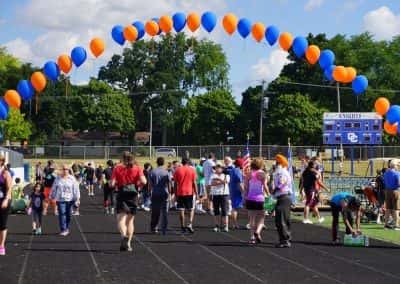 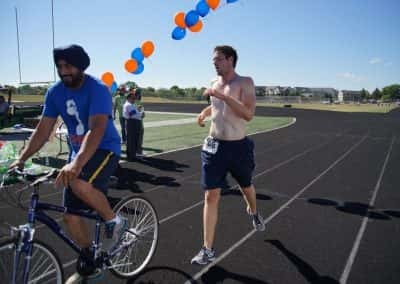 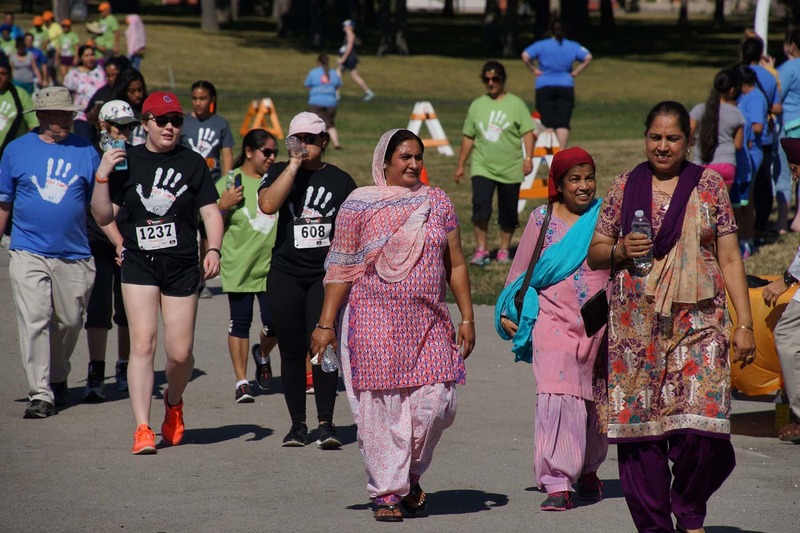 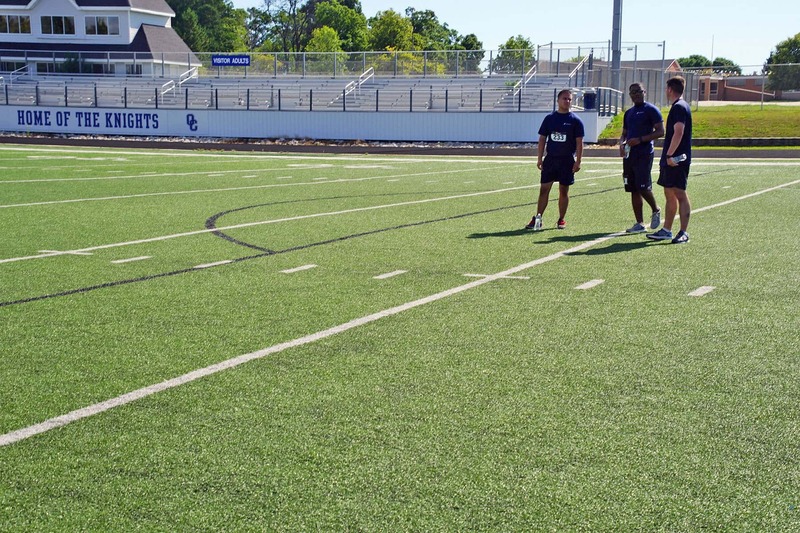 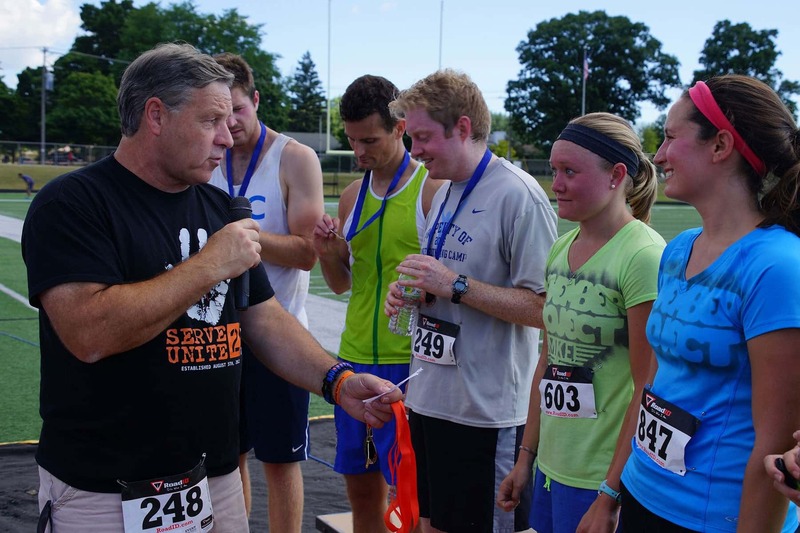 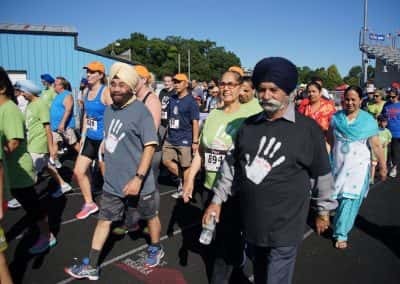 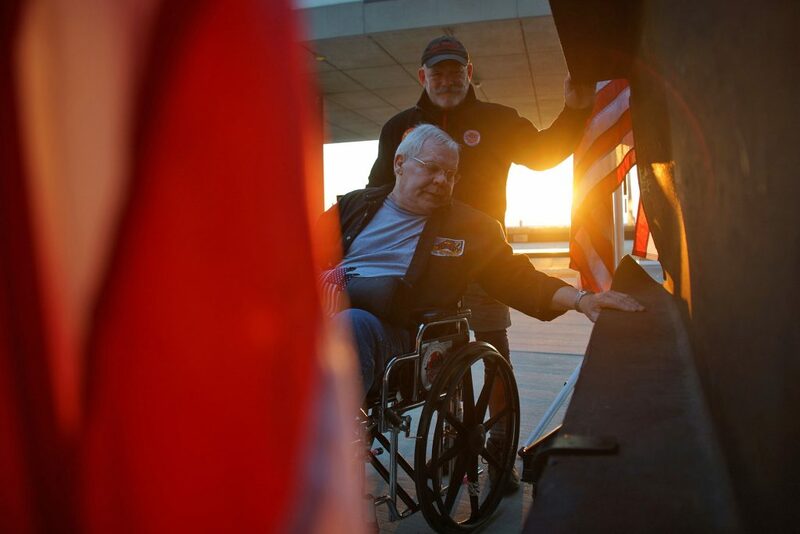 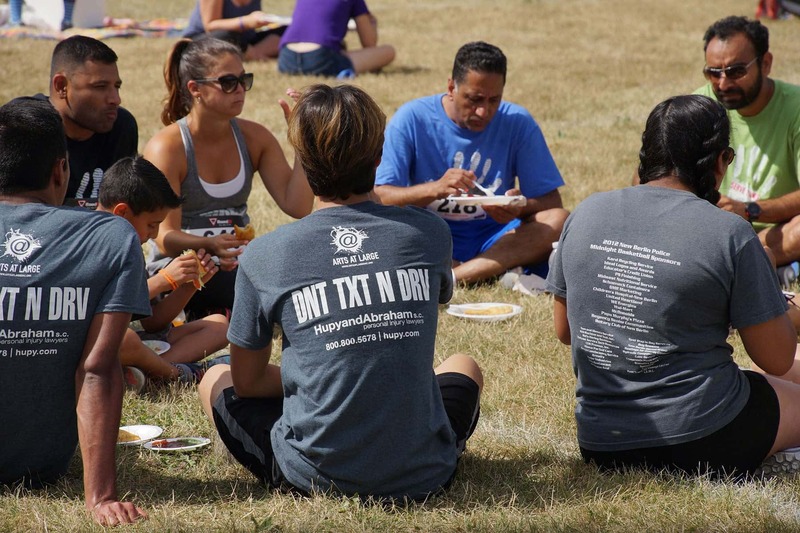 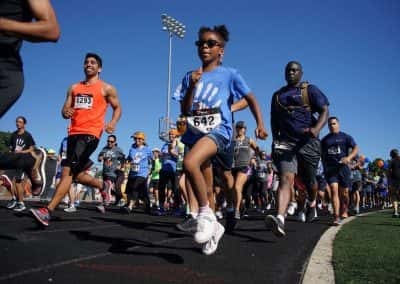 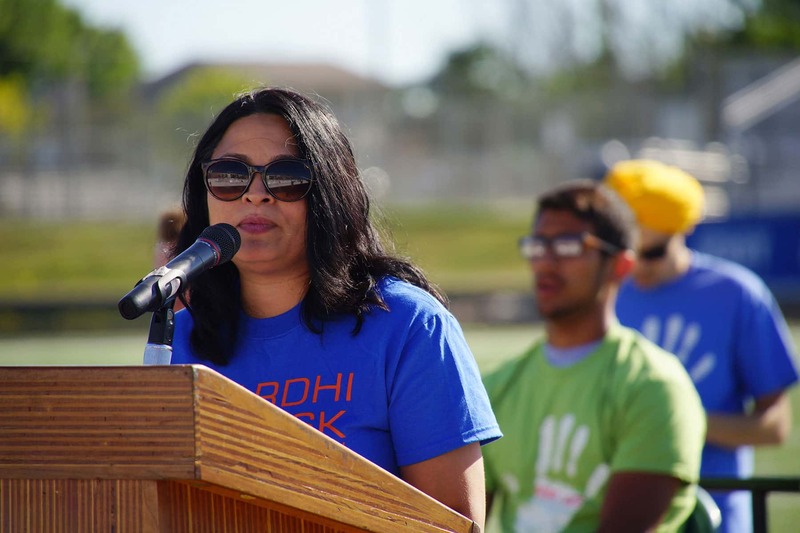 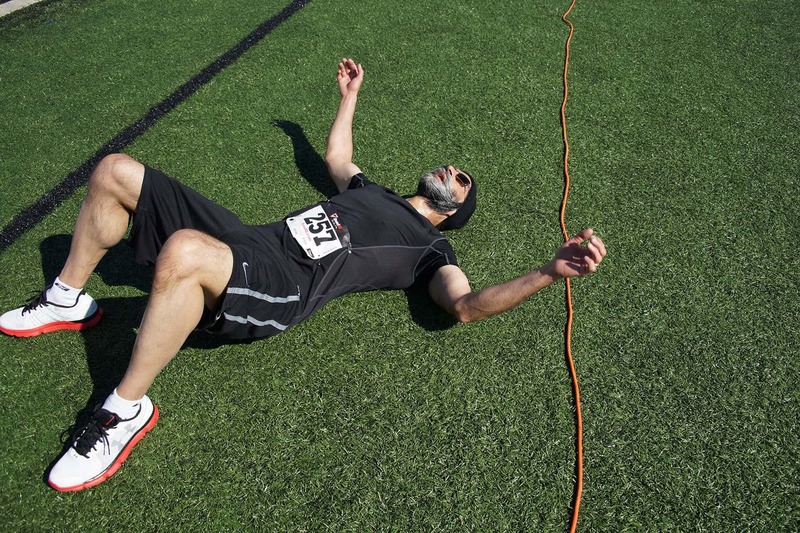 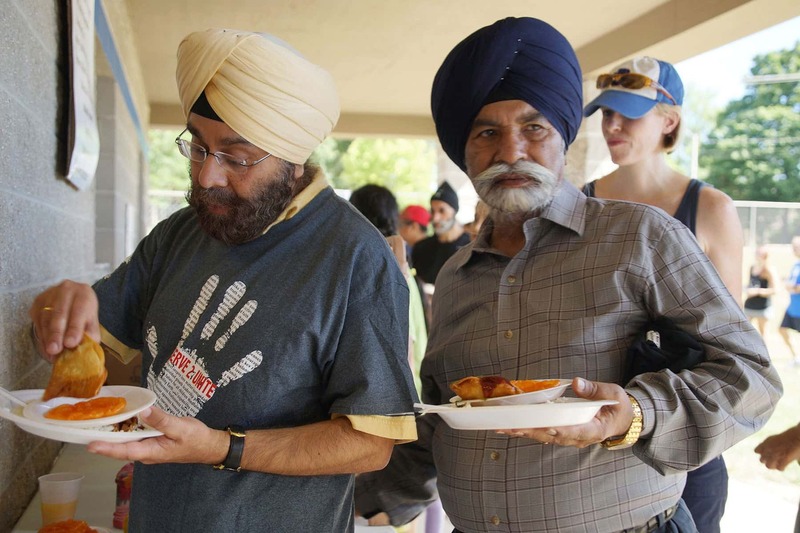 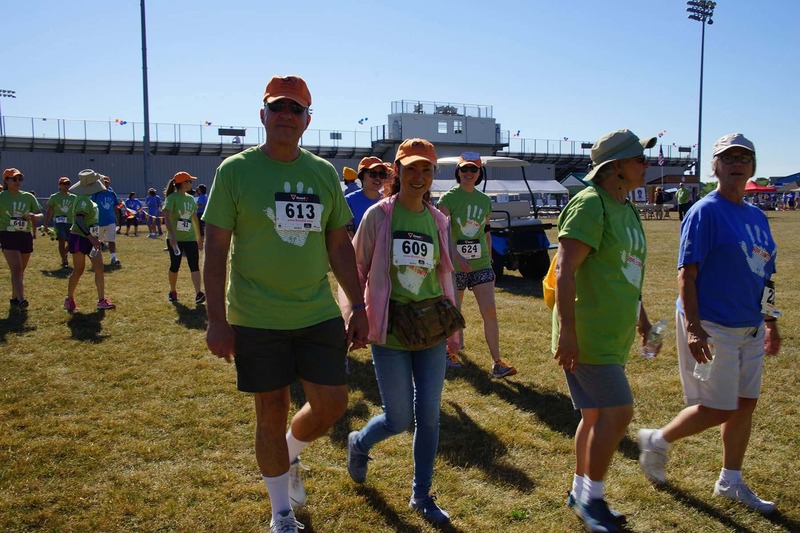 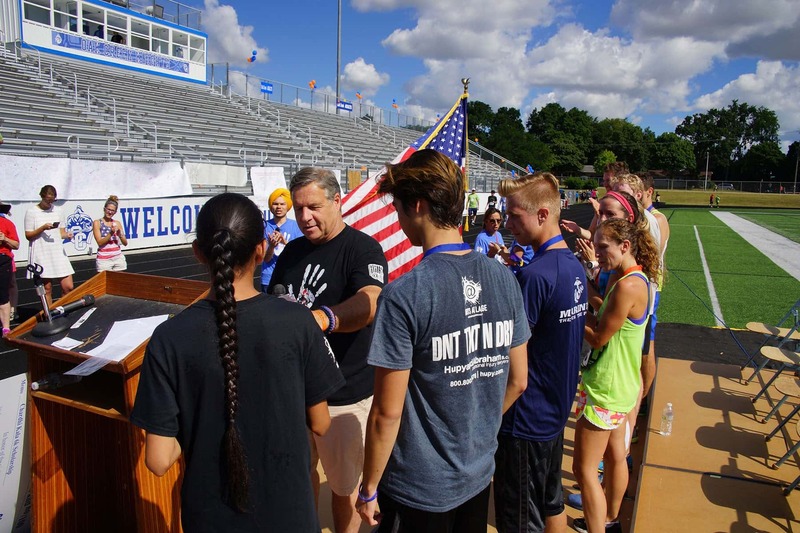 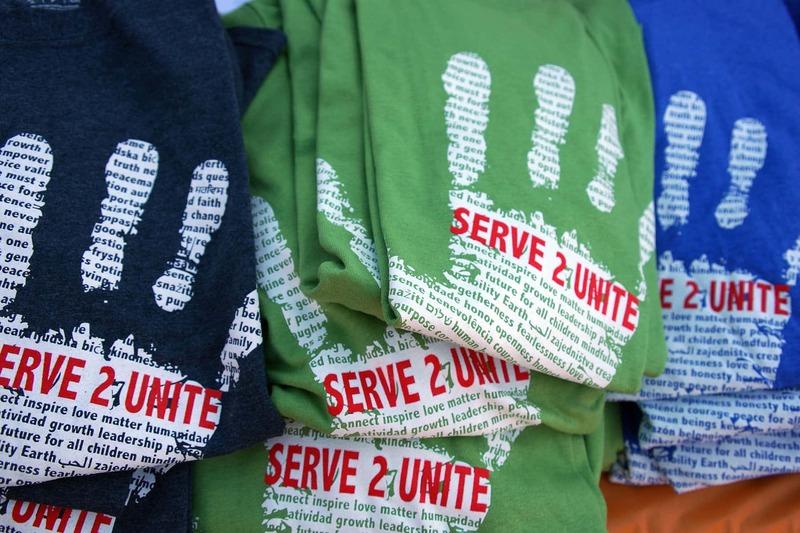 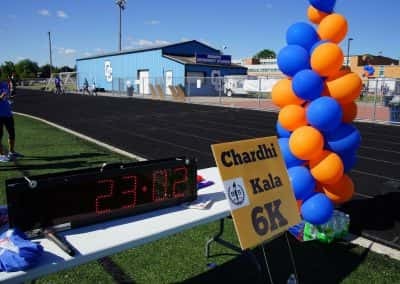 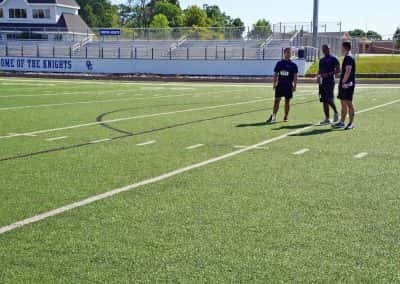 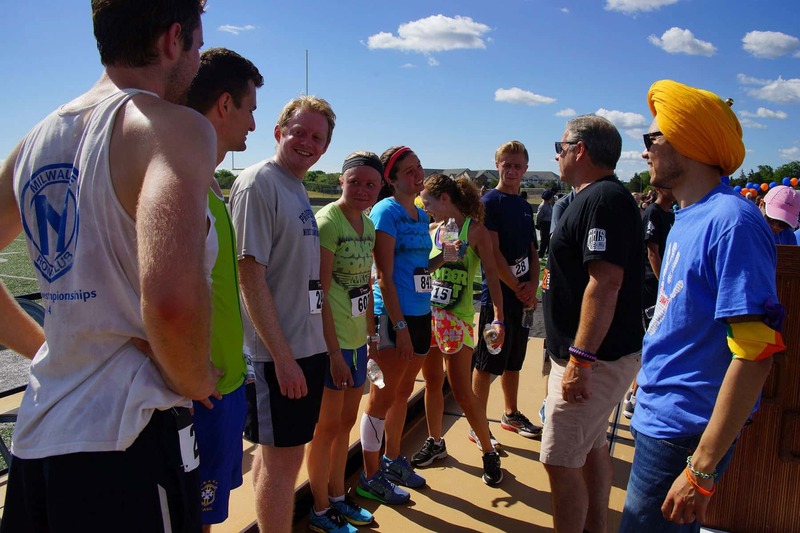 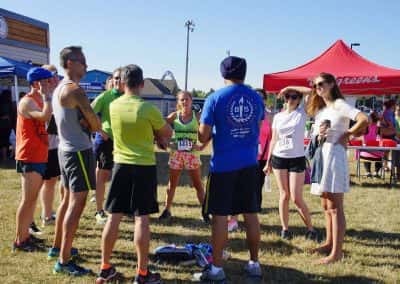 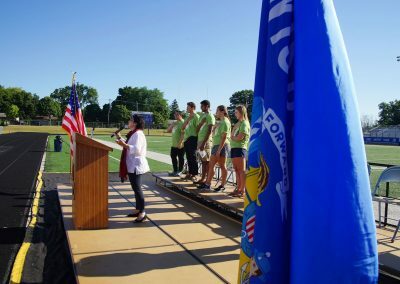 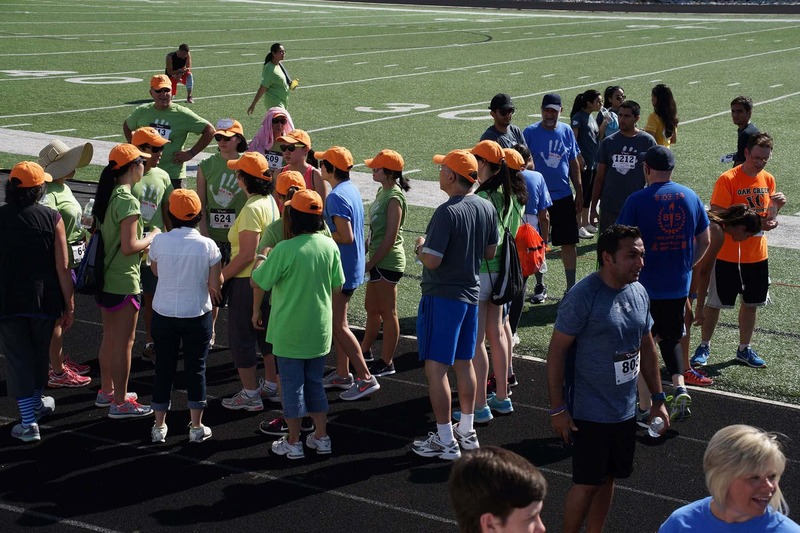 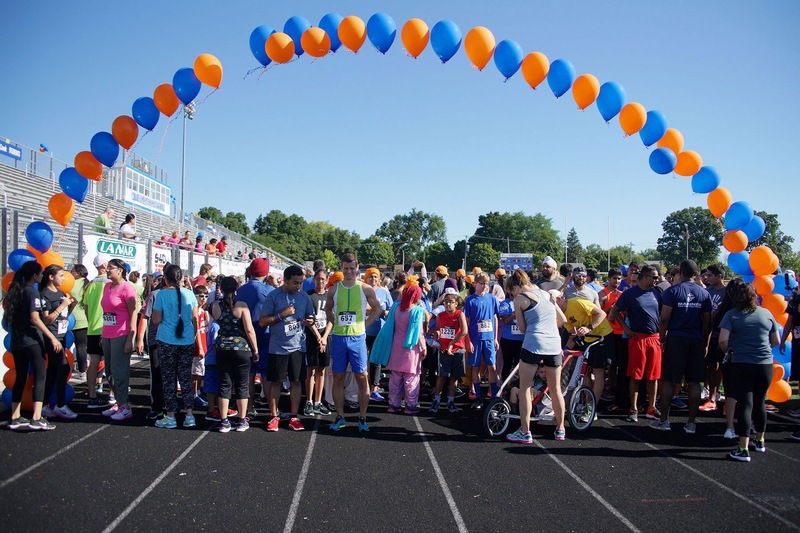 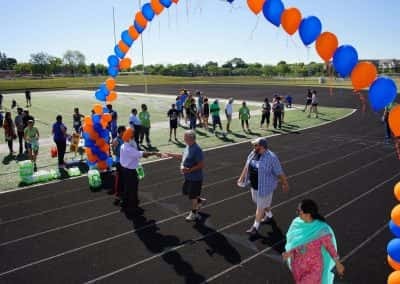 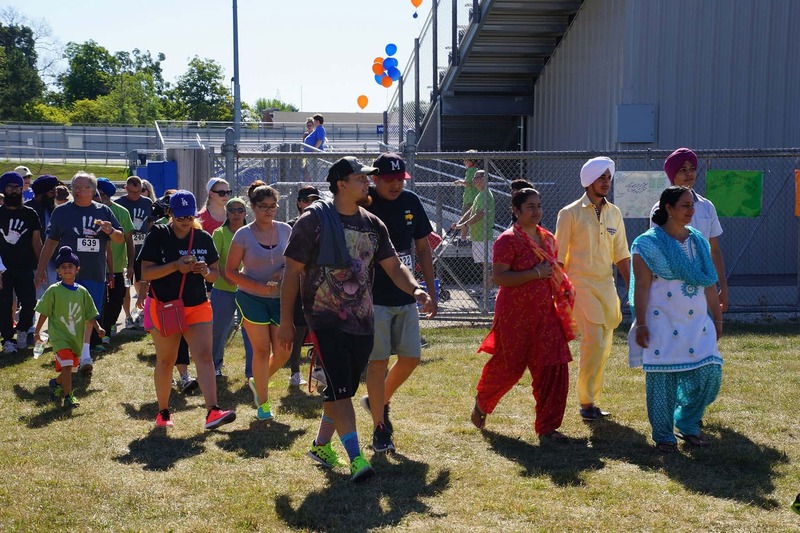 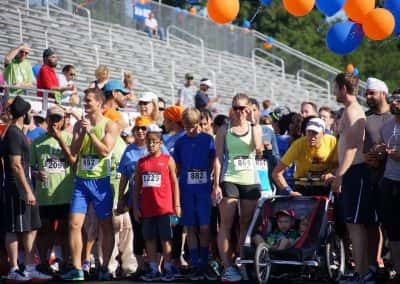 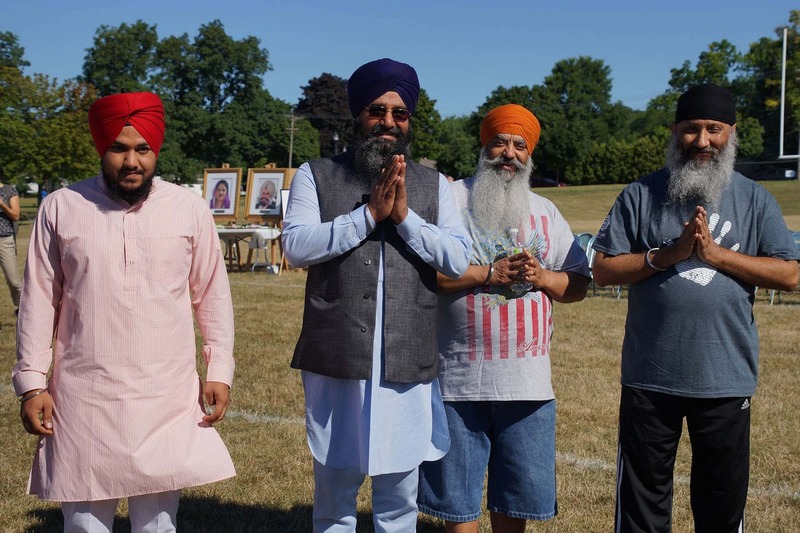 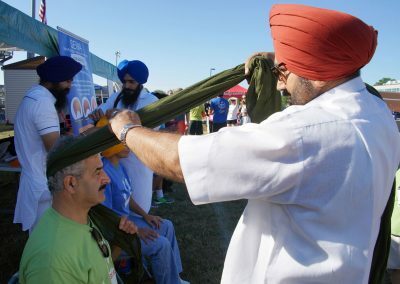 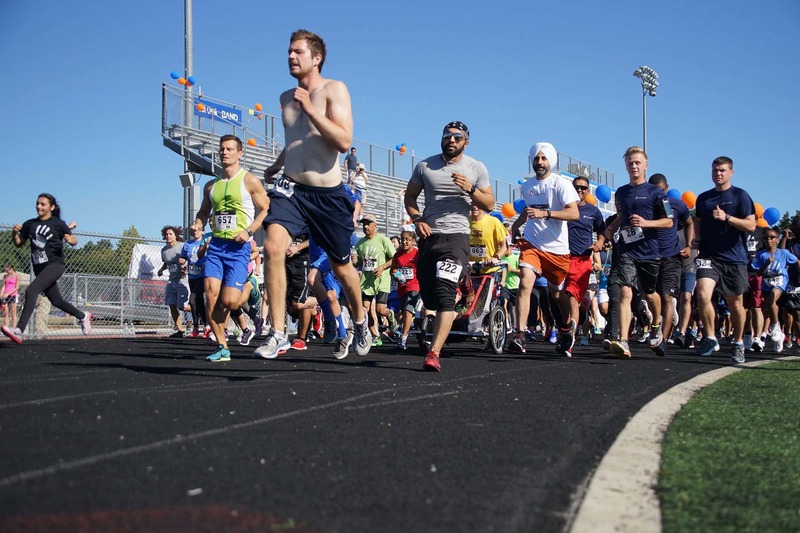 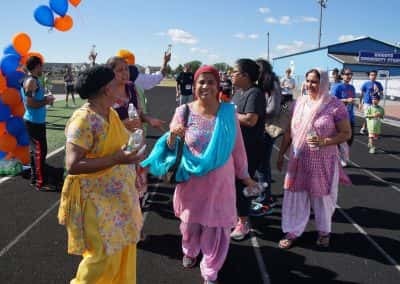 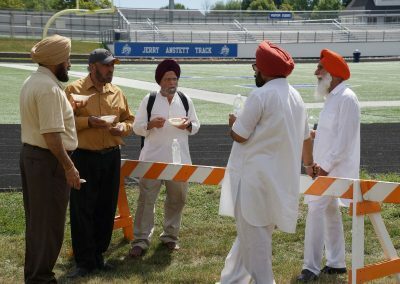 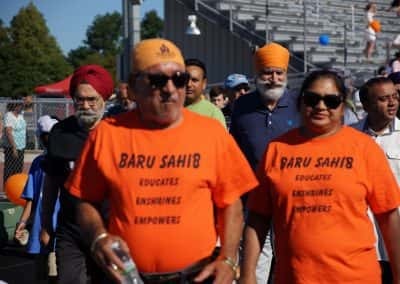 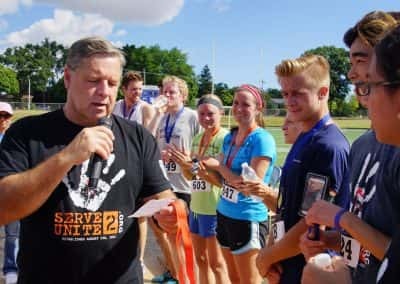 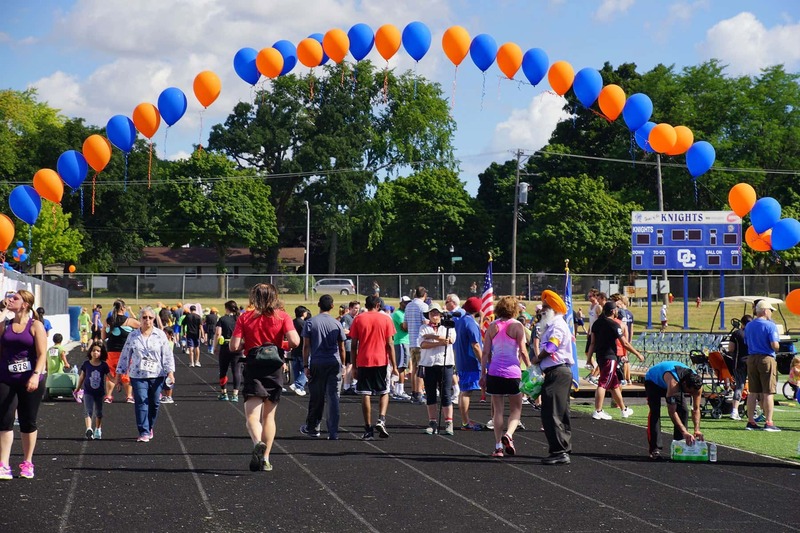 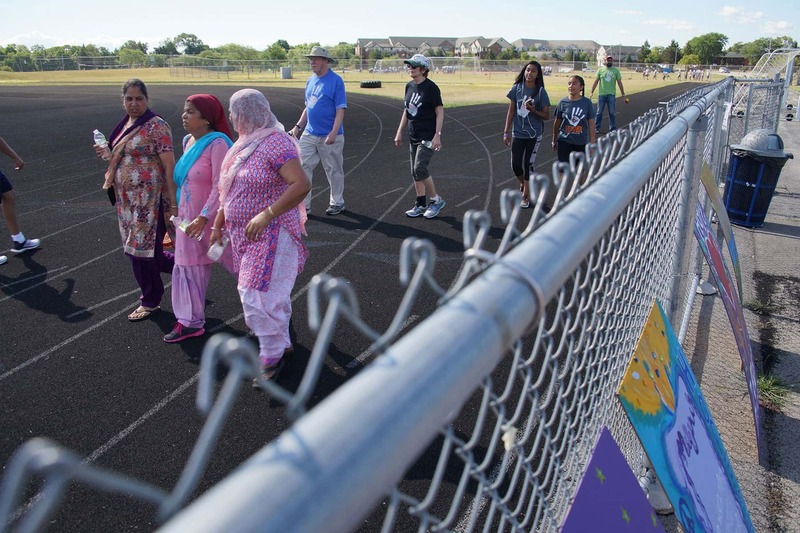 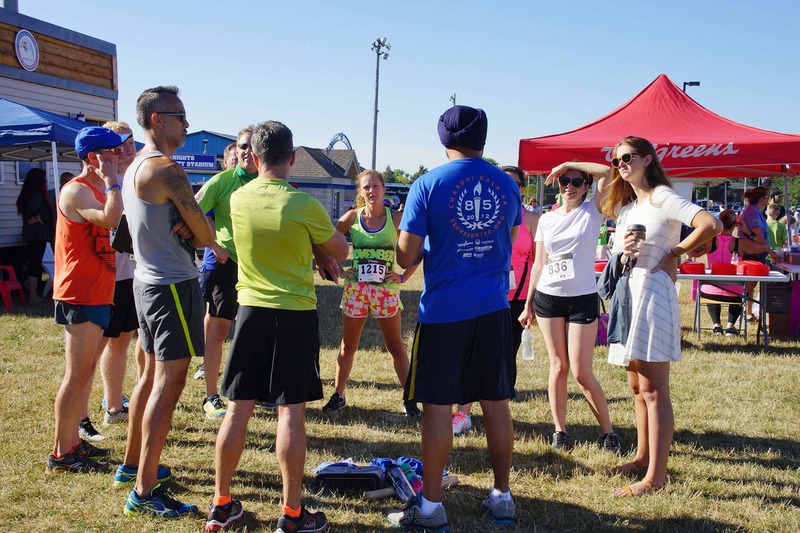 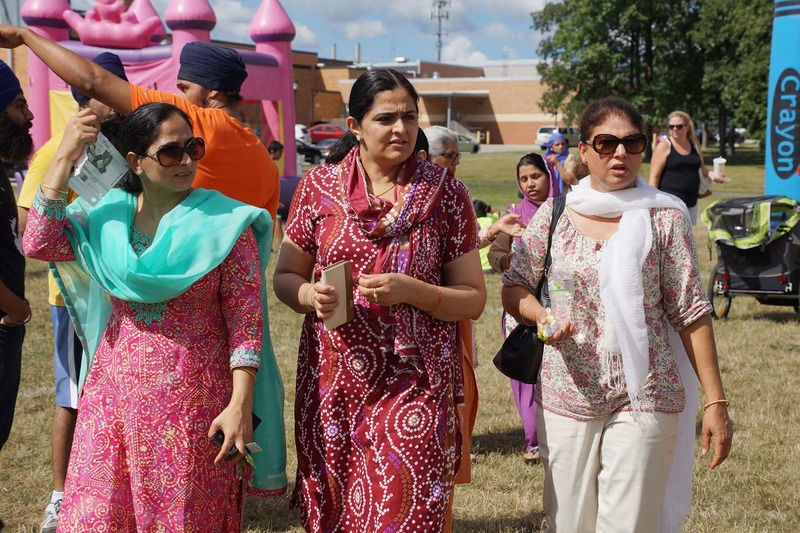 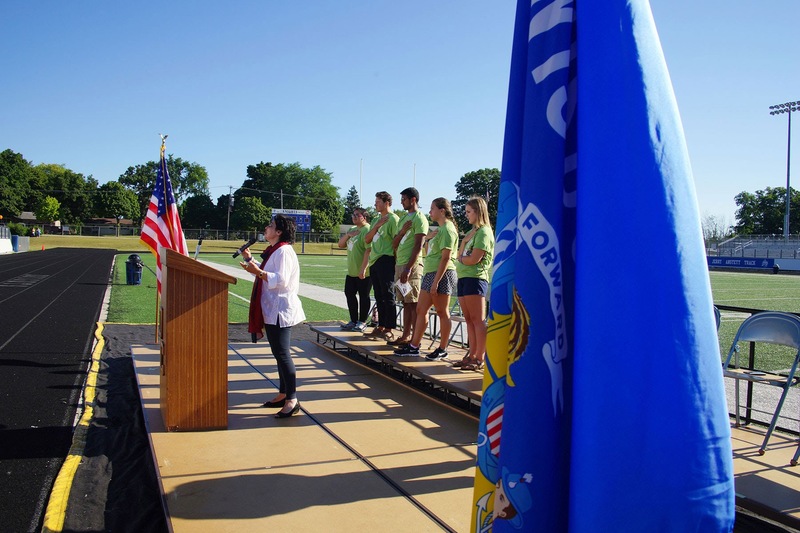 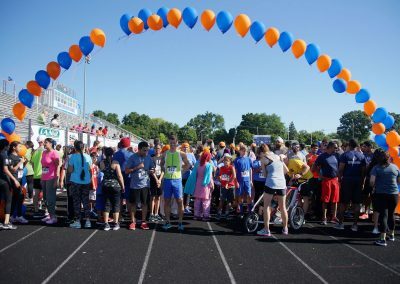 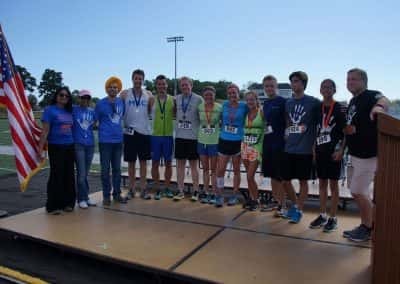 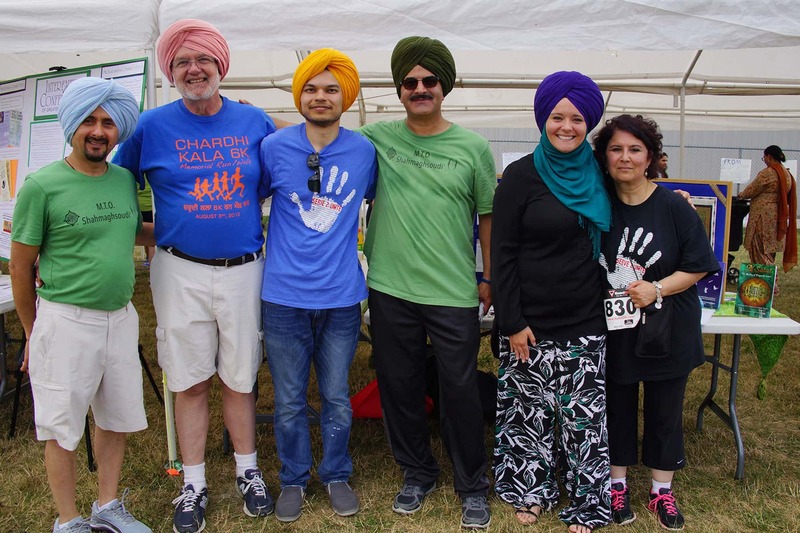 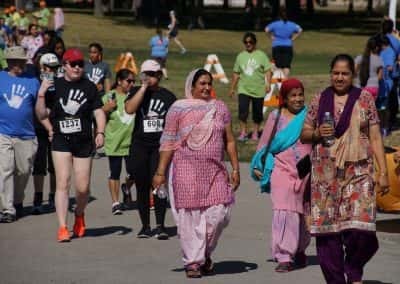 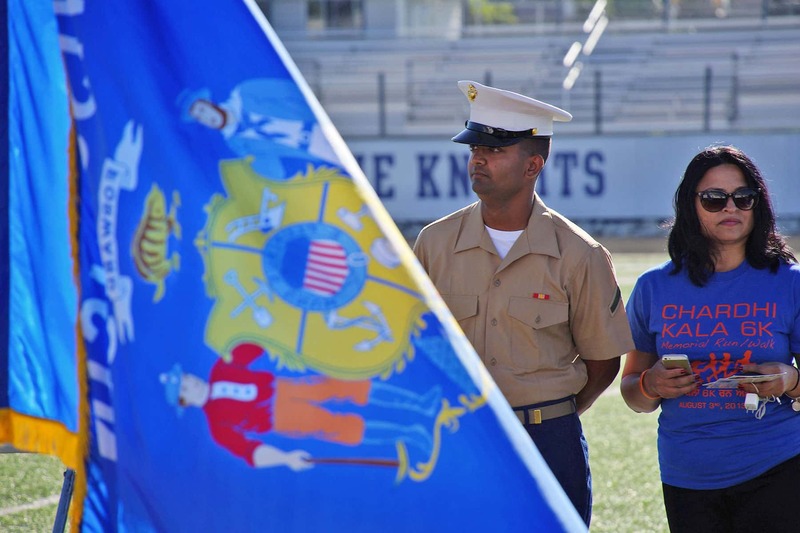 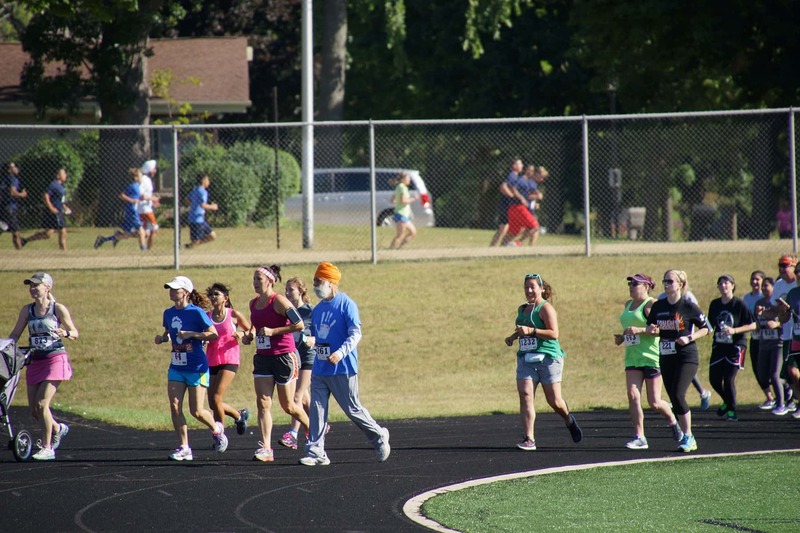 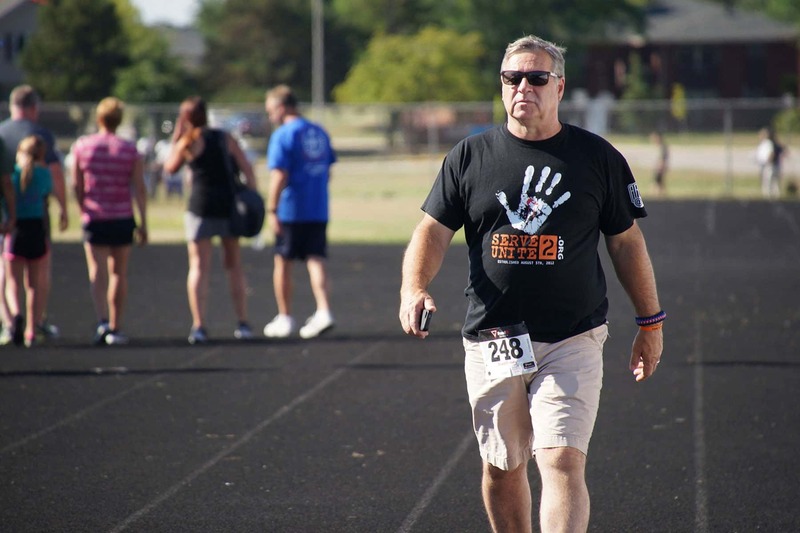 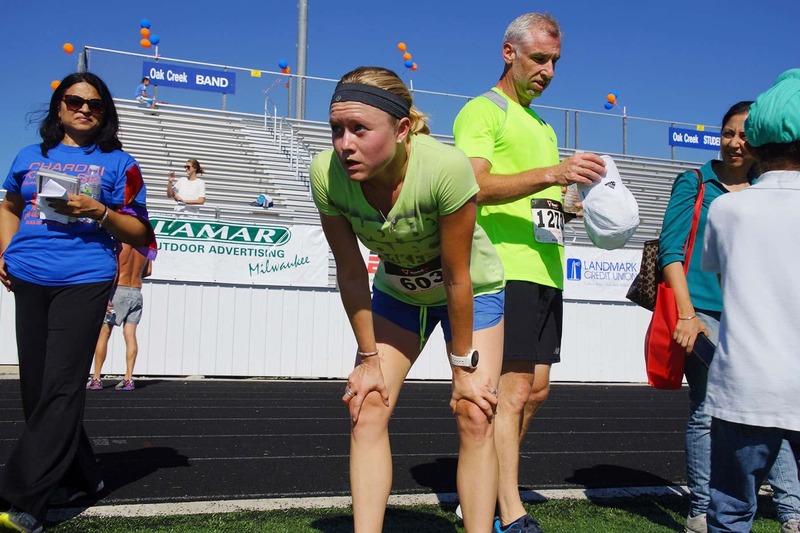 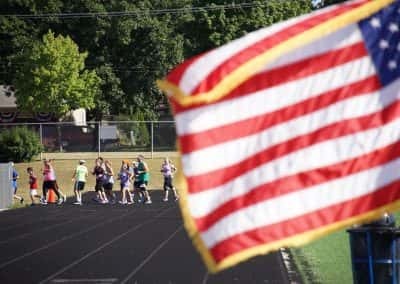 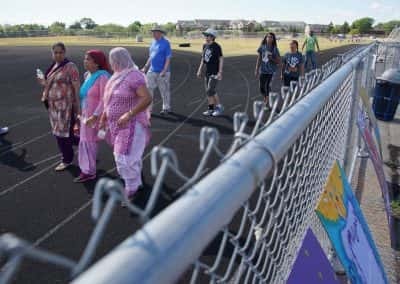 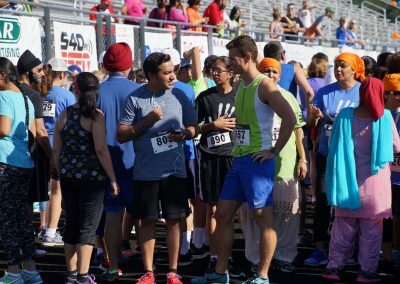 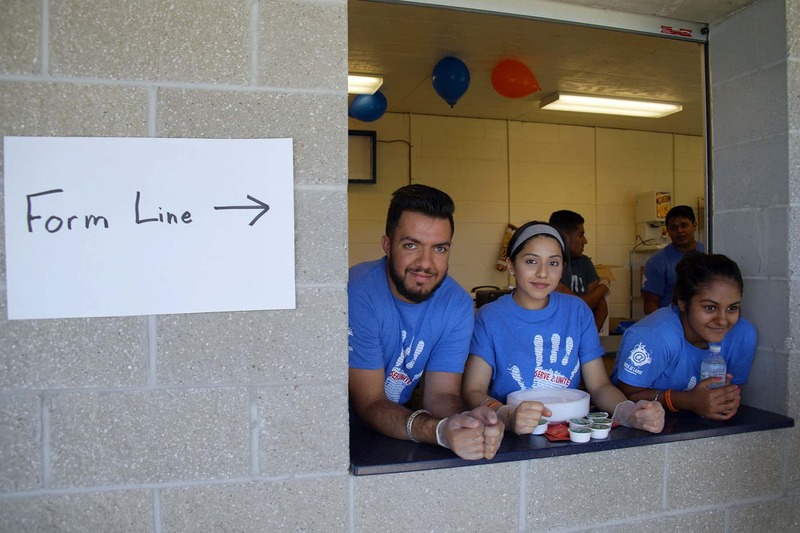 The fourth annual Chardhi Kala 6K Run/Walk was held on August 6 at Oak Creek High School, with each kilometer honoring a victim of the 08.05.12 tragedy. 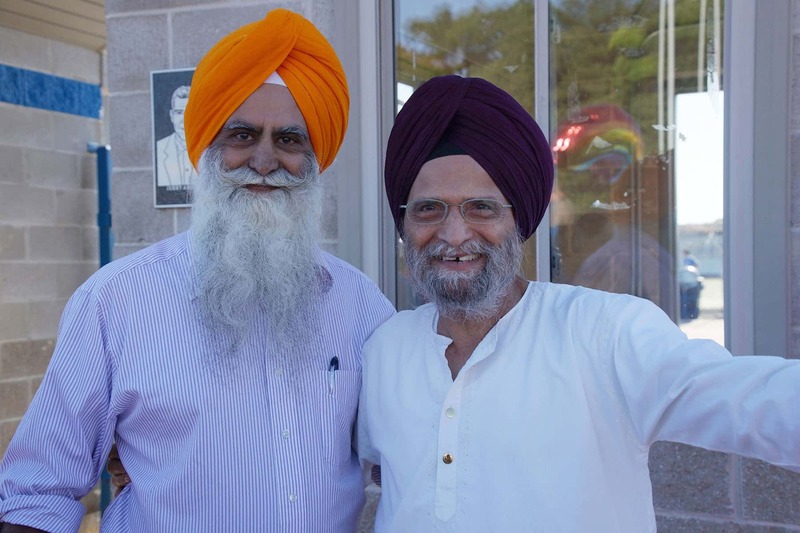 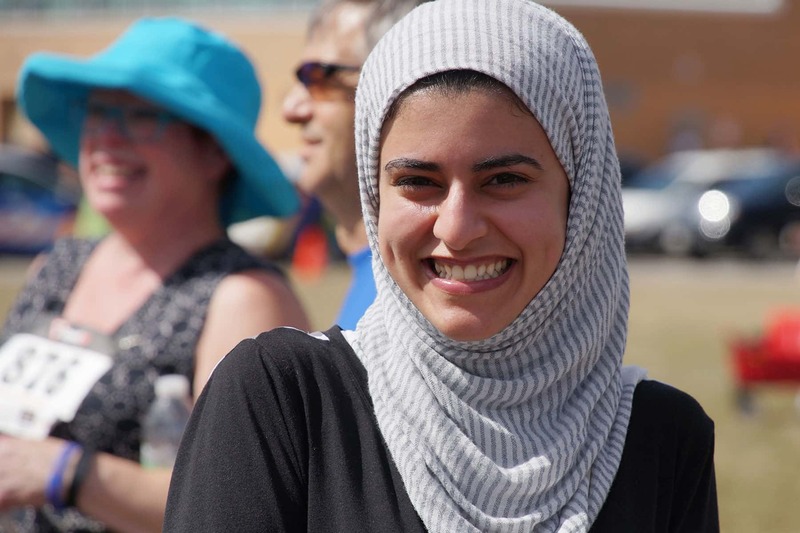 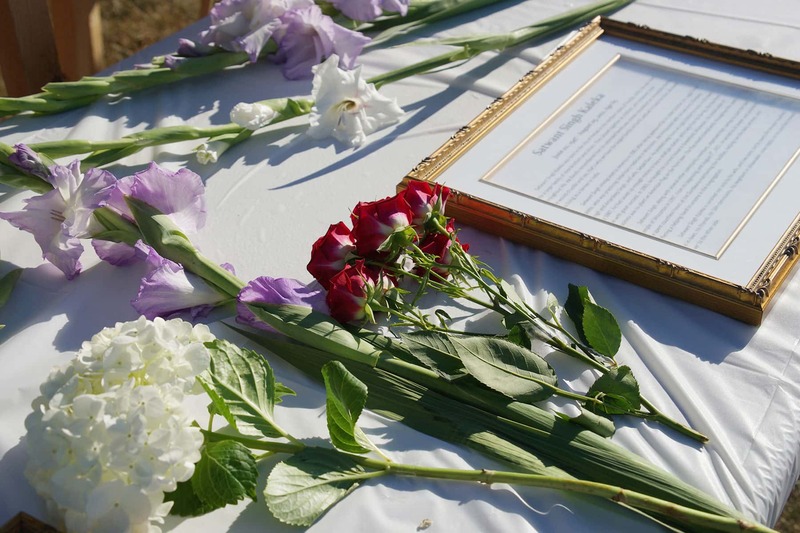 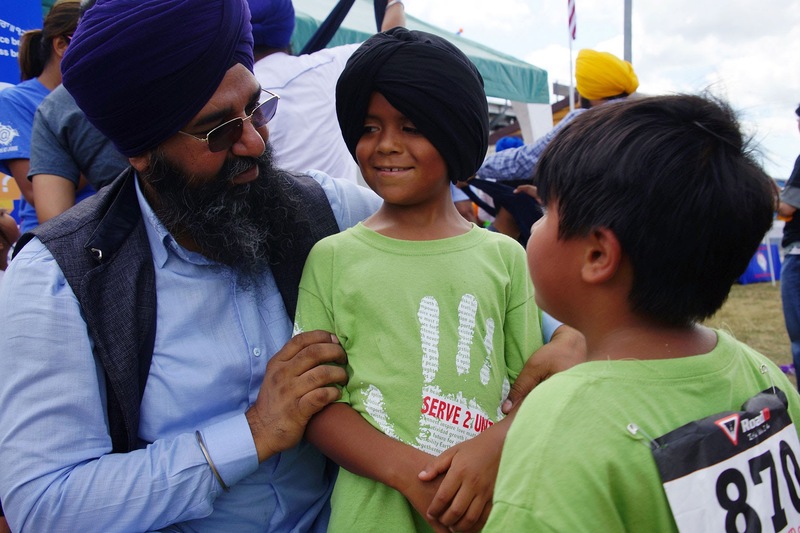 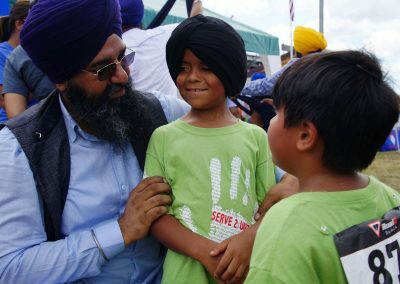 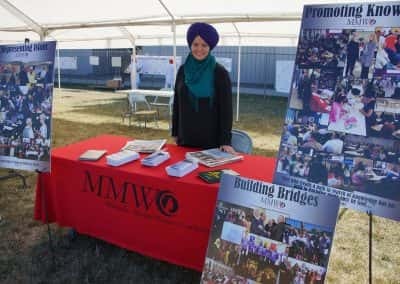 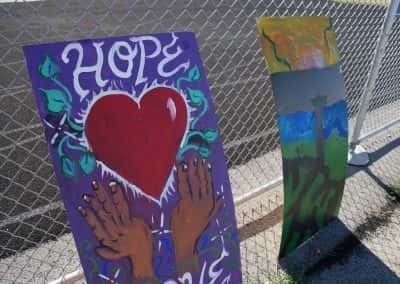 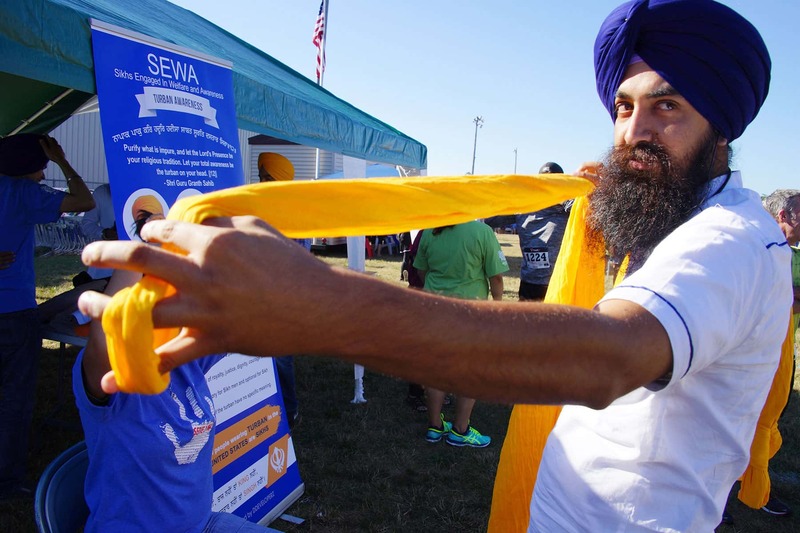 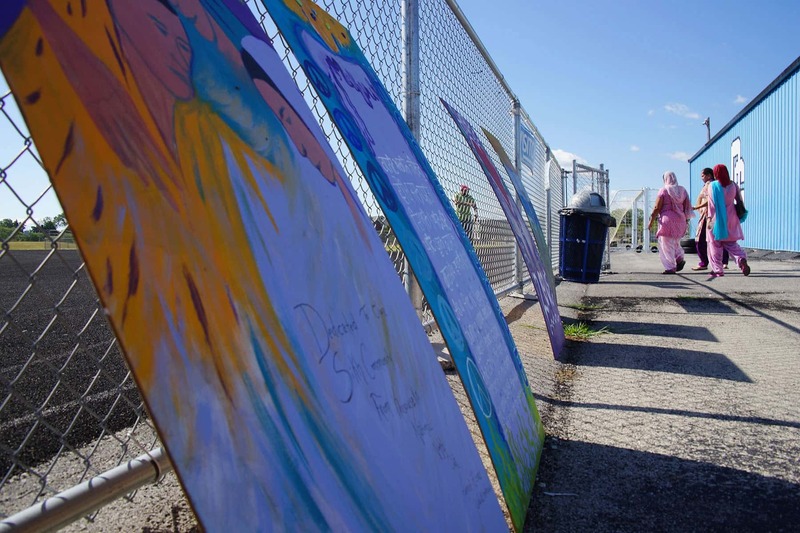 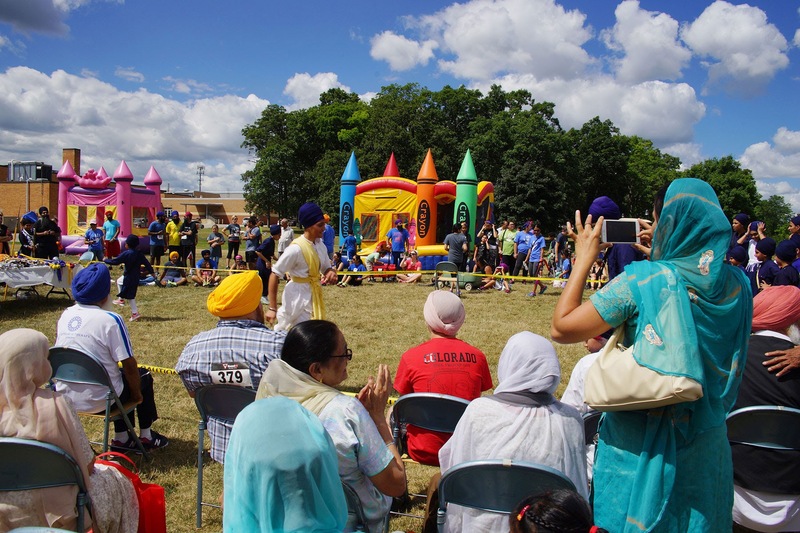 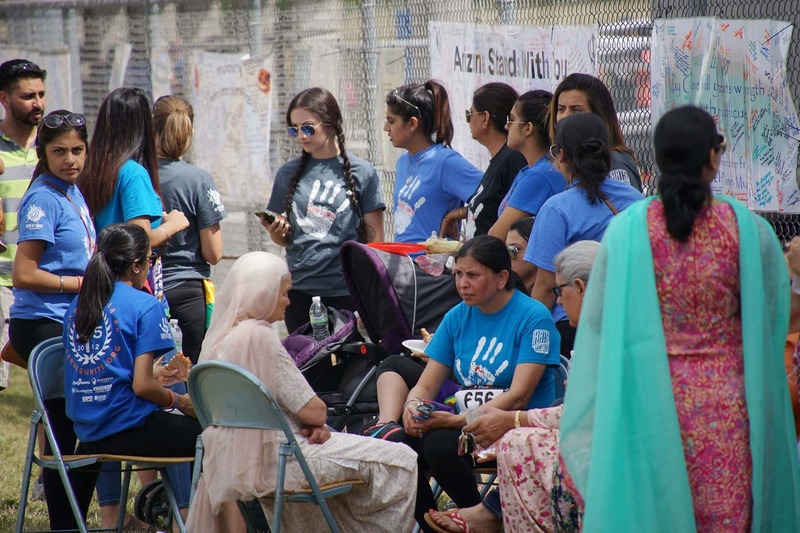 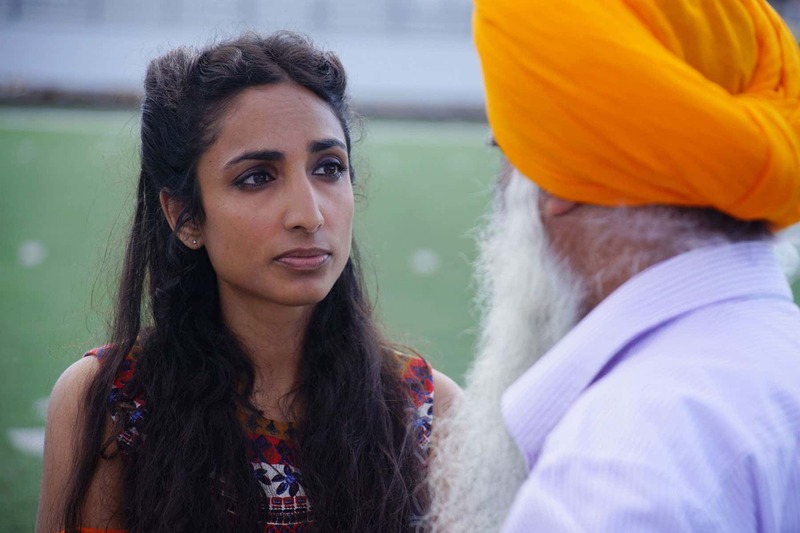 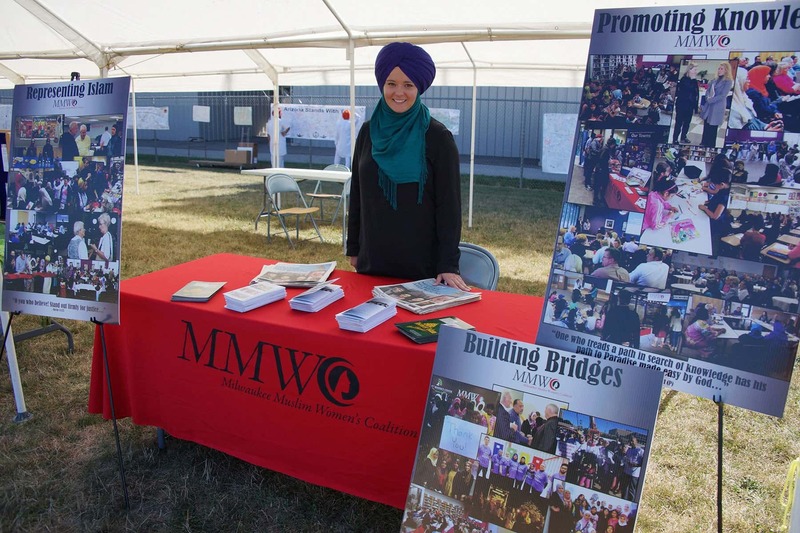 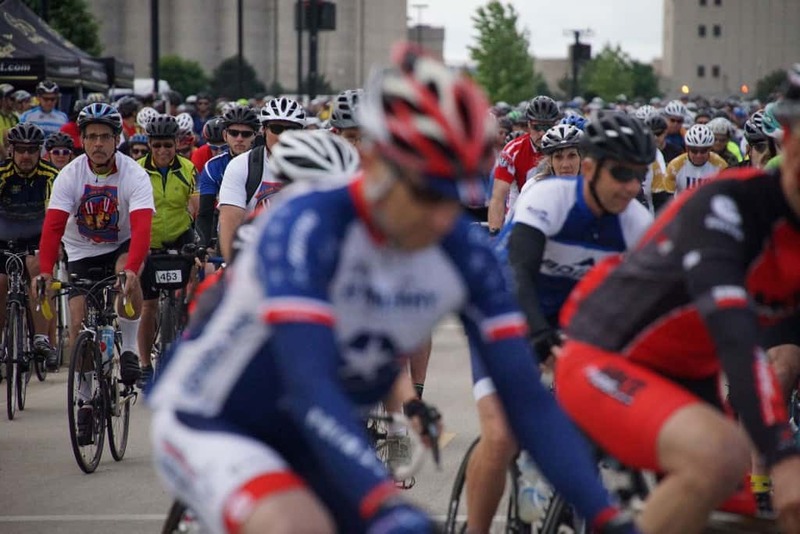 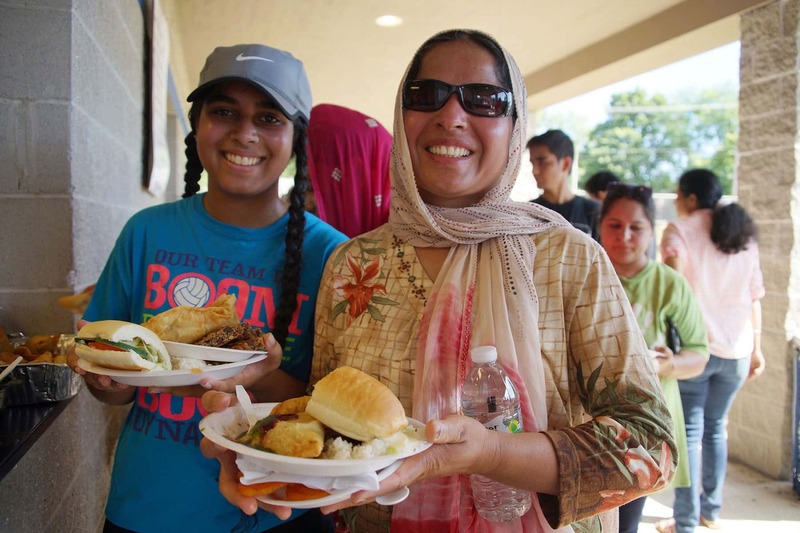 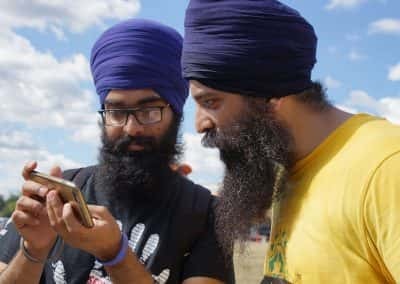 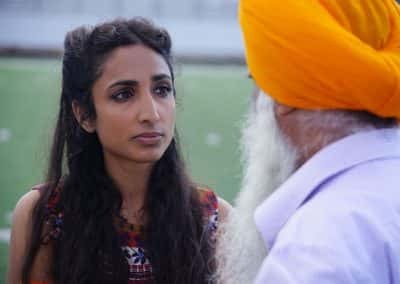 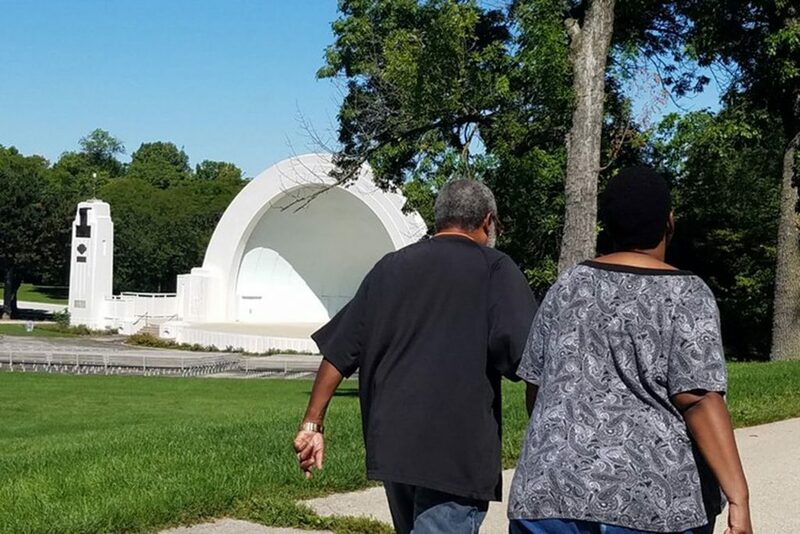 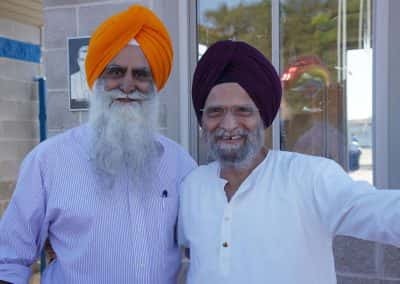 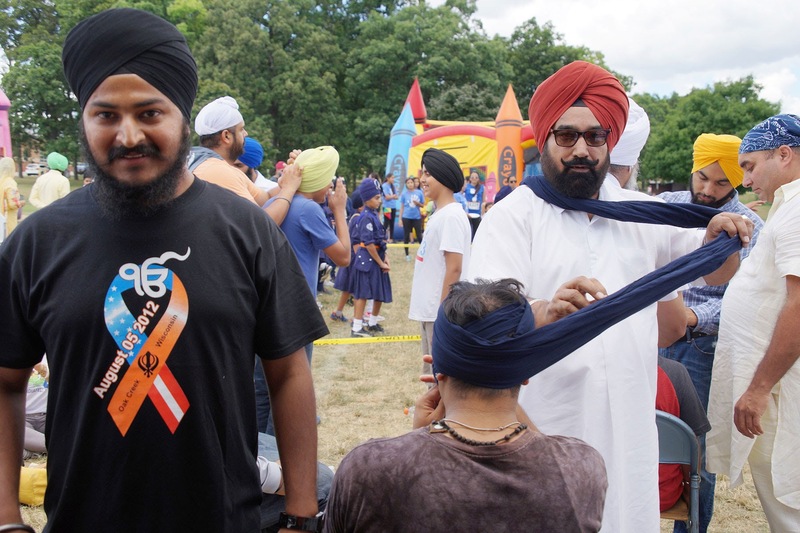 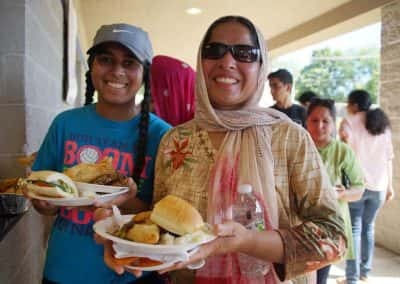 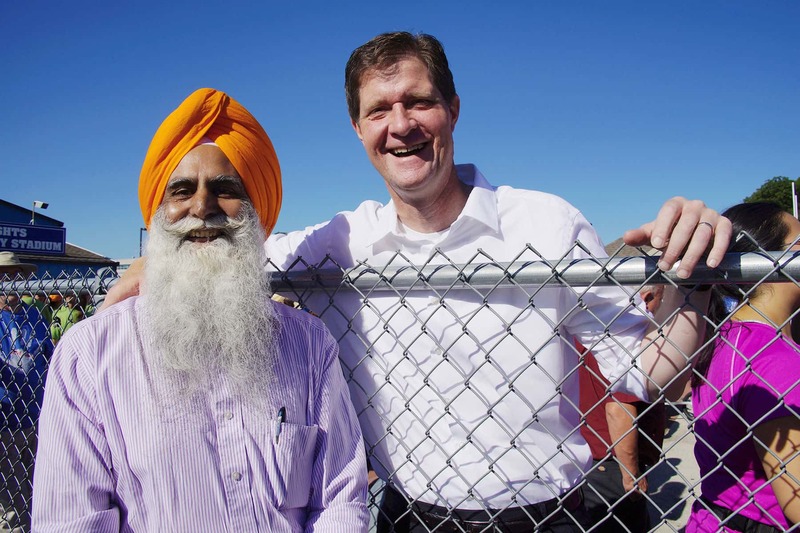 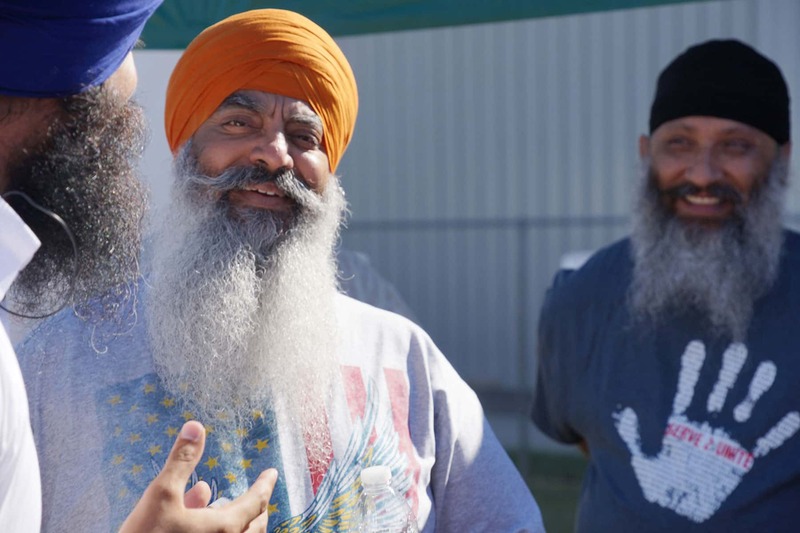 Participation from diverse communities came together to honor the six victims and celebrate the closer ties that have developed as a result of the Sikh Temple of Wisconsin mass shooting. 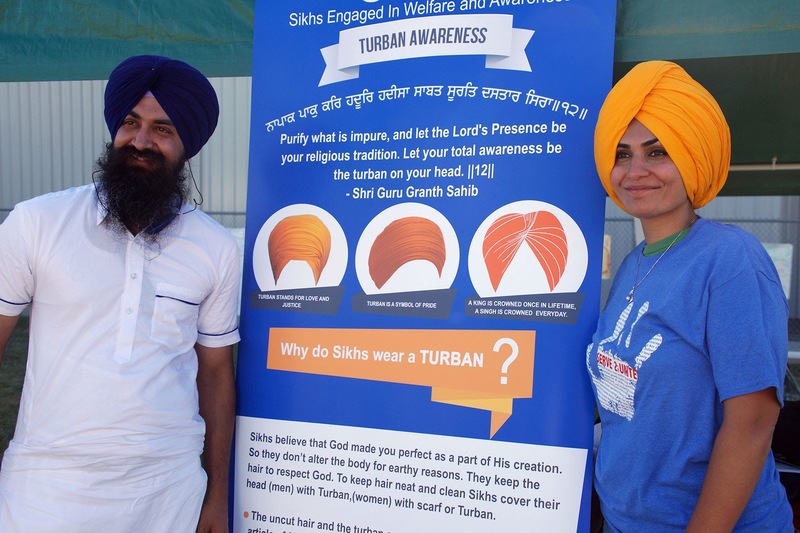 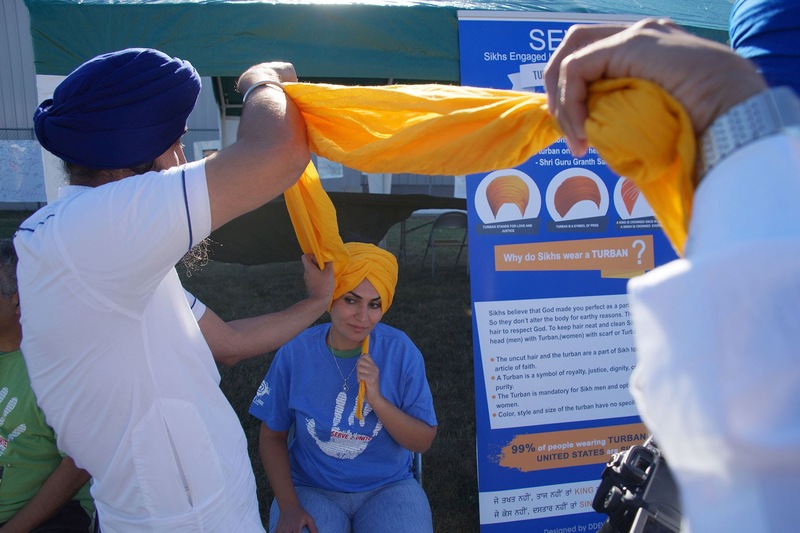 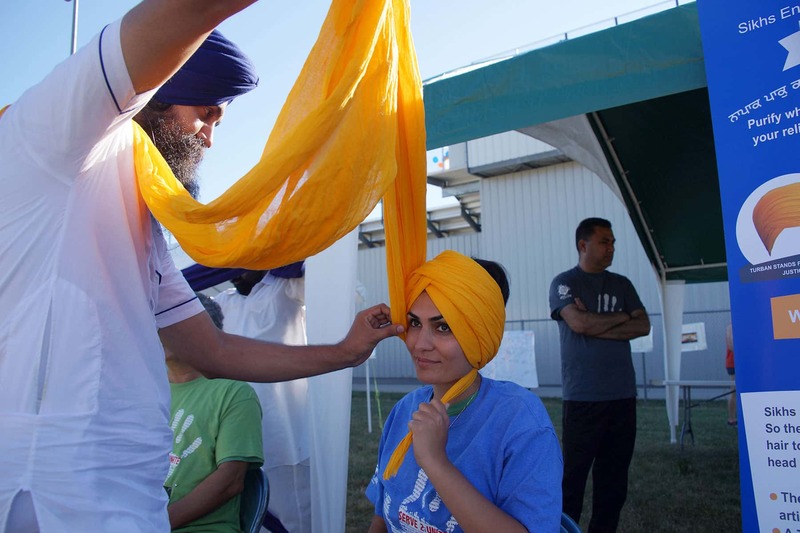 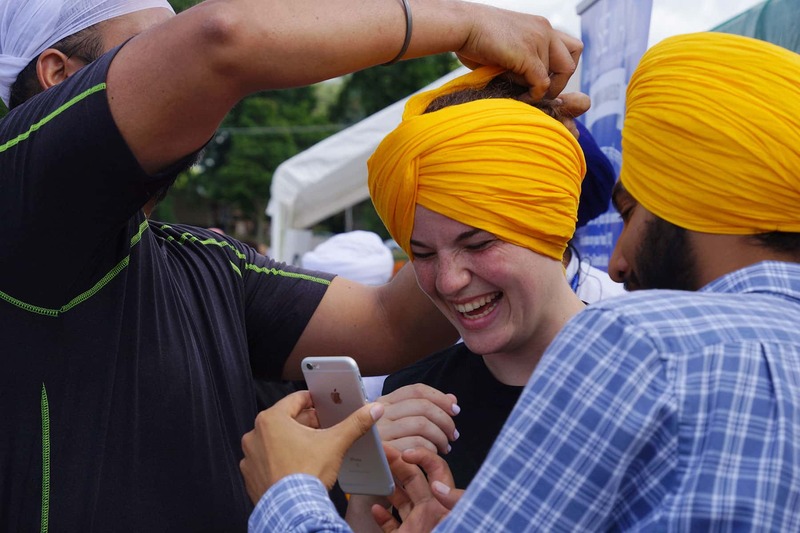 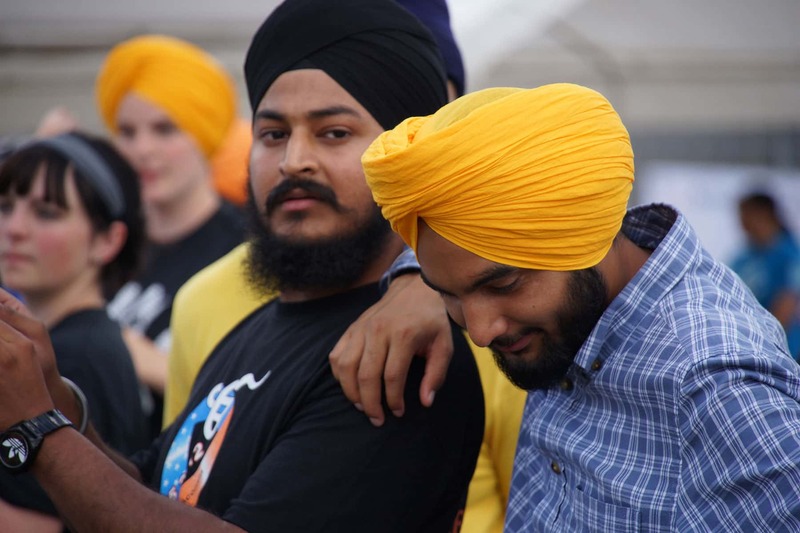 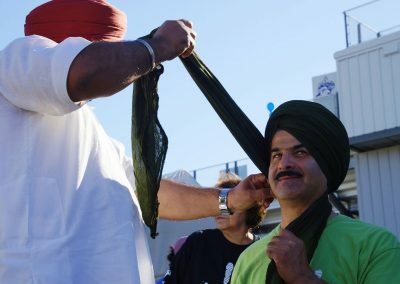 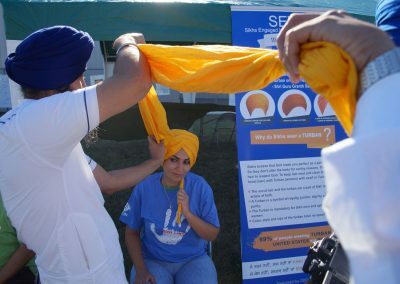 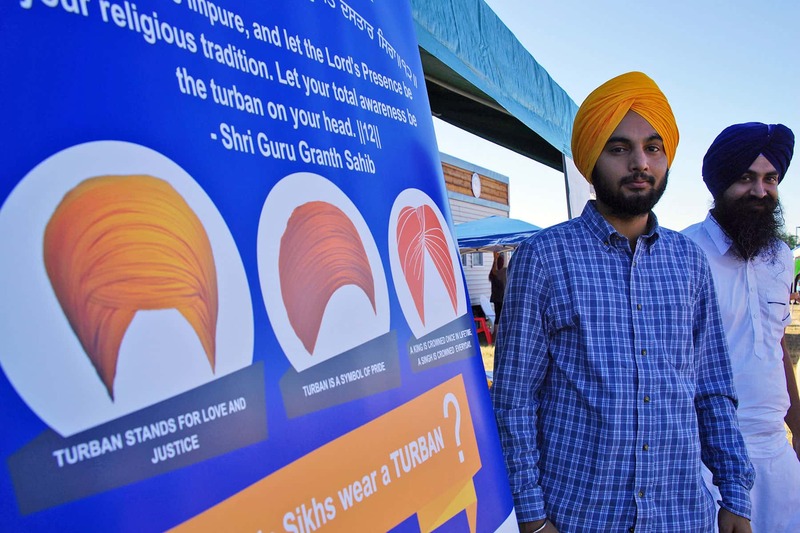 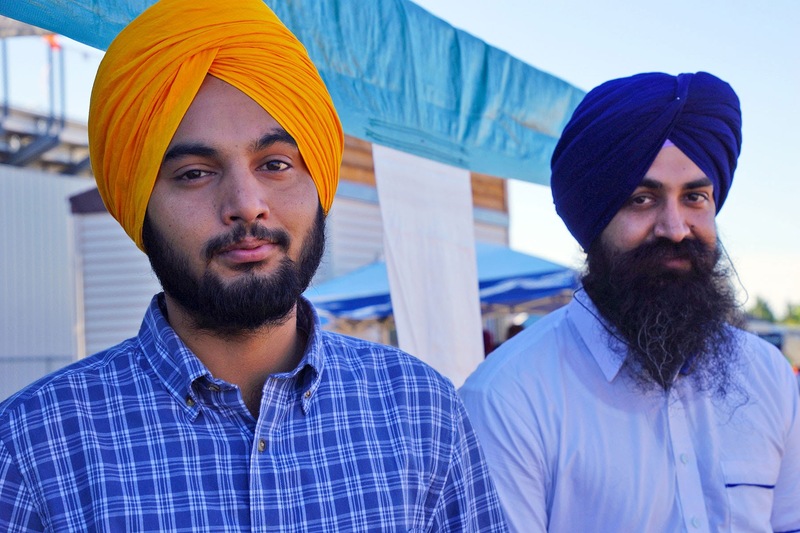 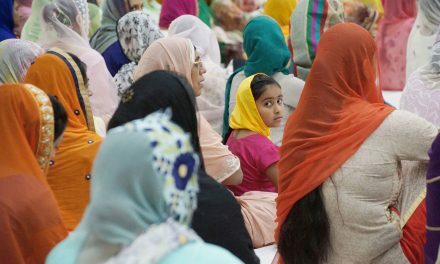 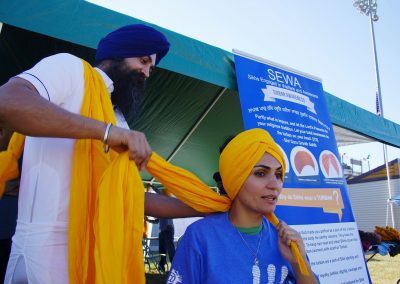 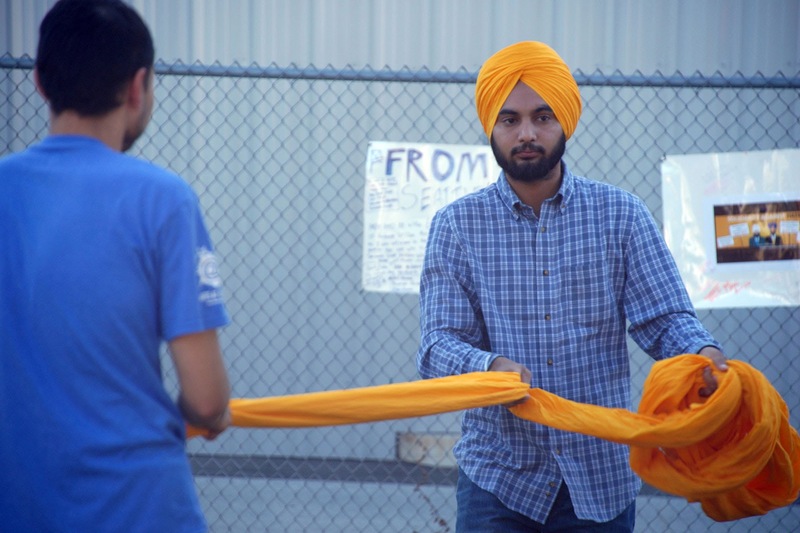 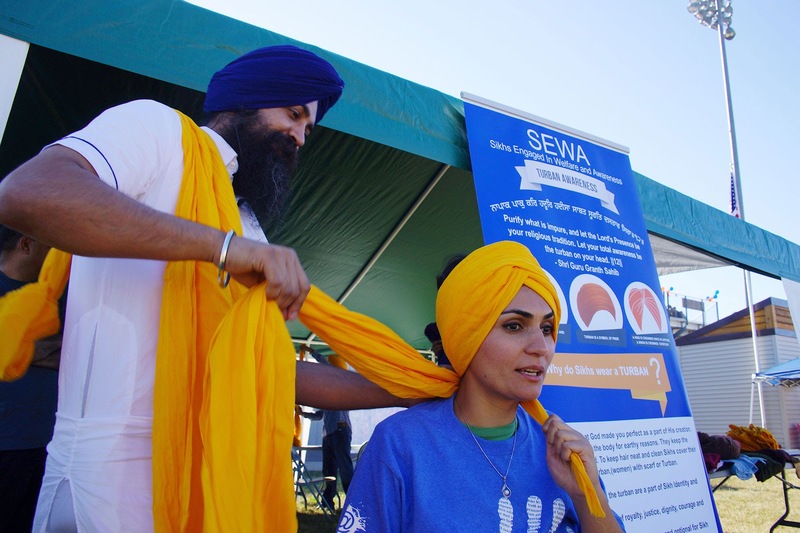 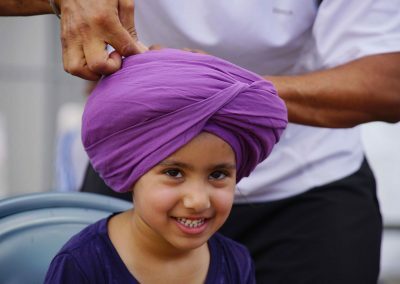 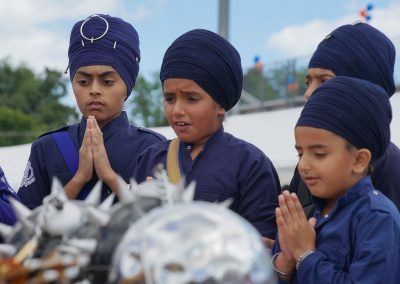 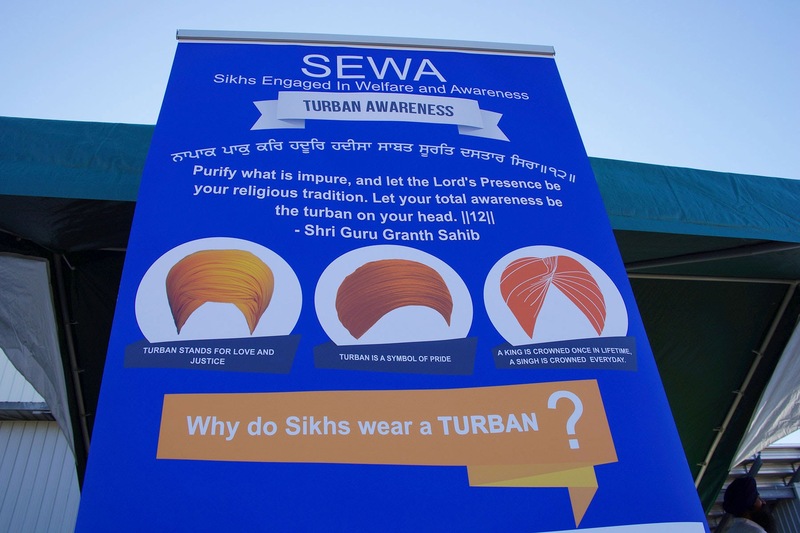 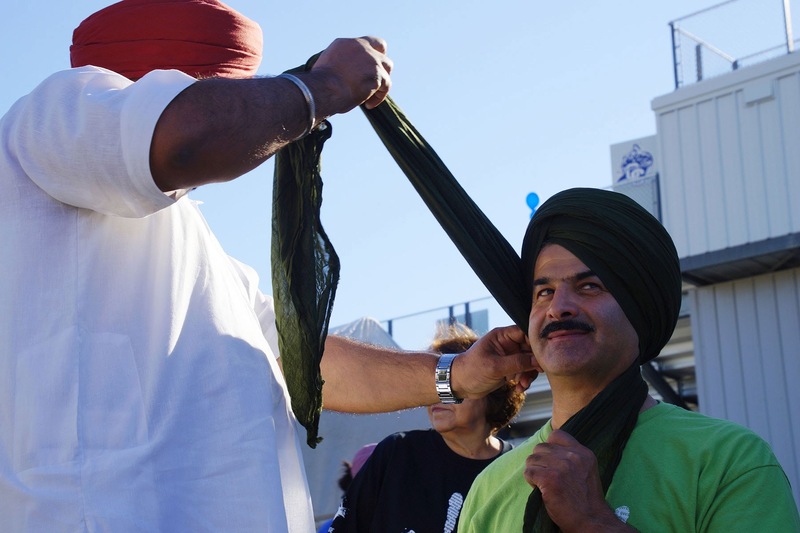 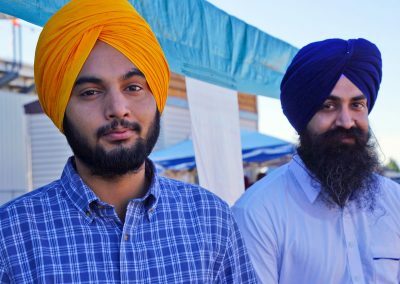 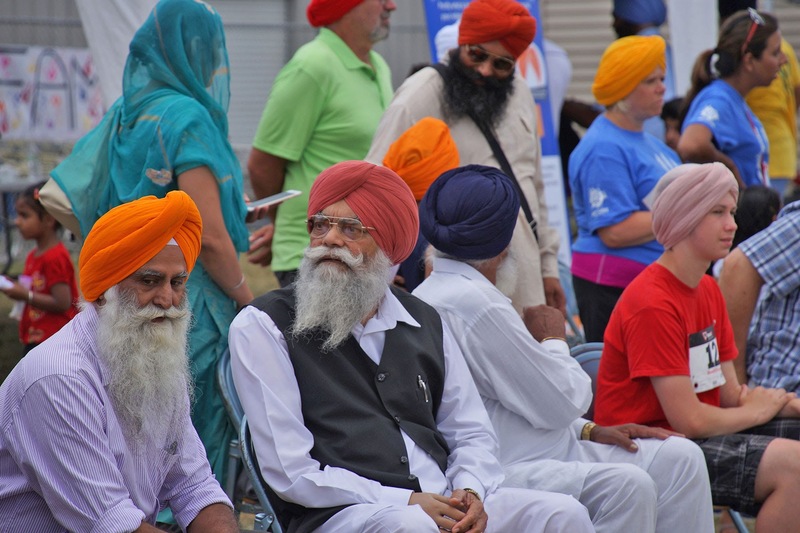 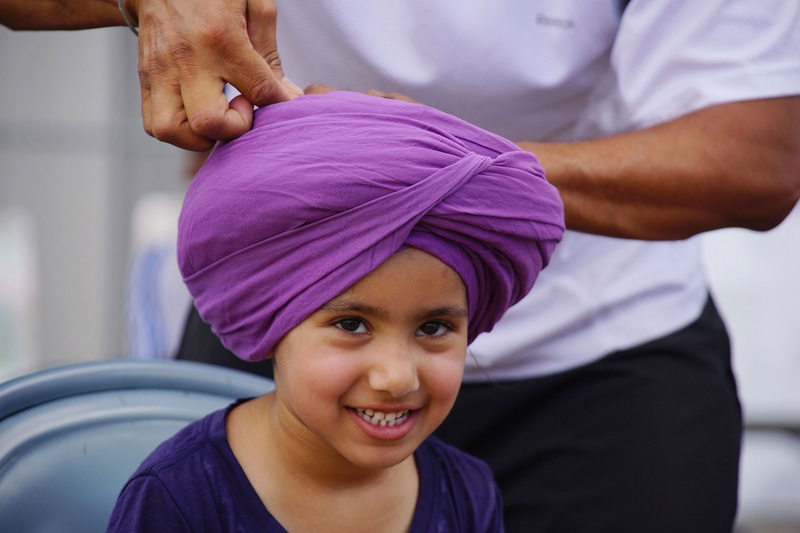 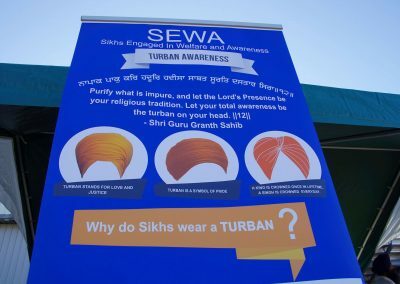 The turban, or Dastaar, has a deep connection to the Sikh cultural identity. 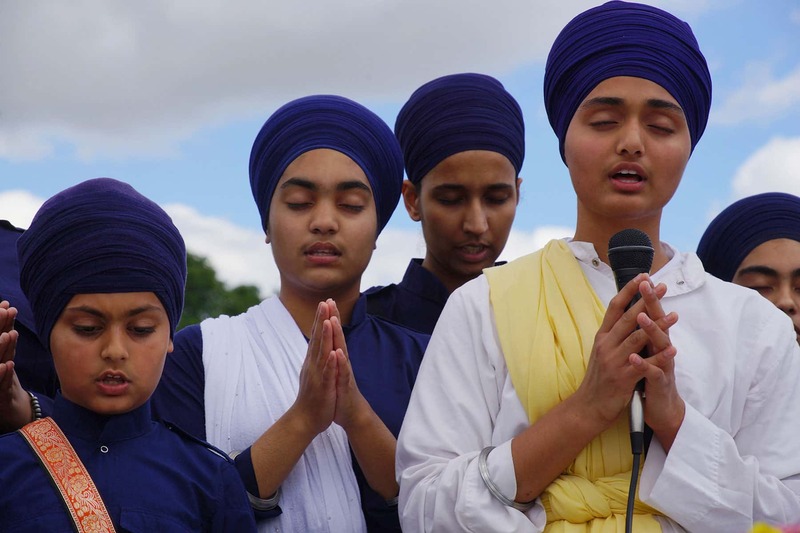 It is an article of faith that expresses honor, self-respect, courage, spirituality, and piety. 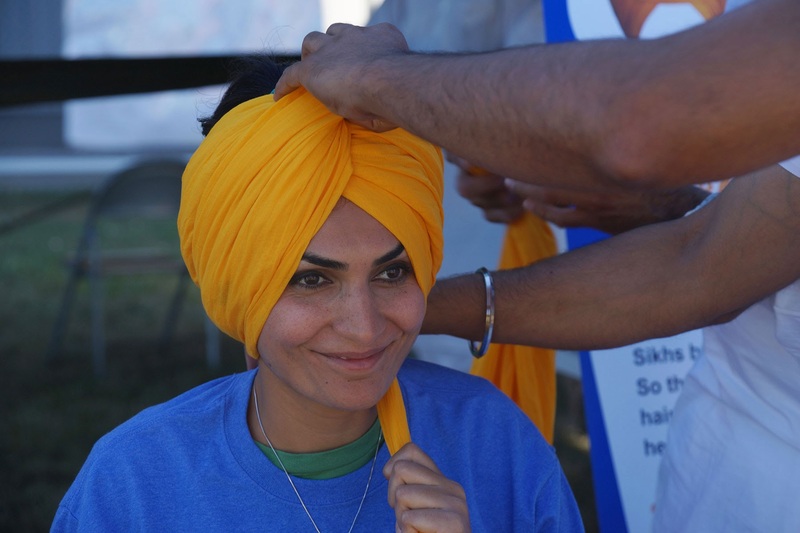 The turban, as a symbol of peace, is commonly worn in India. 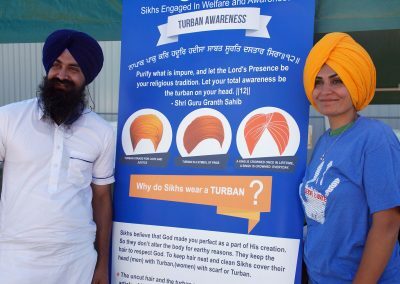 It is designed to partly cover the uncut hair of a person who wears all Five Kakkars, which also includes a wooden brush for the long hair, a metal bracelet, a specific style of cotton undergarments, and a symbolic blade. 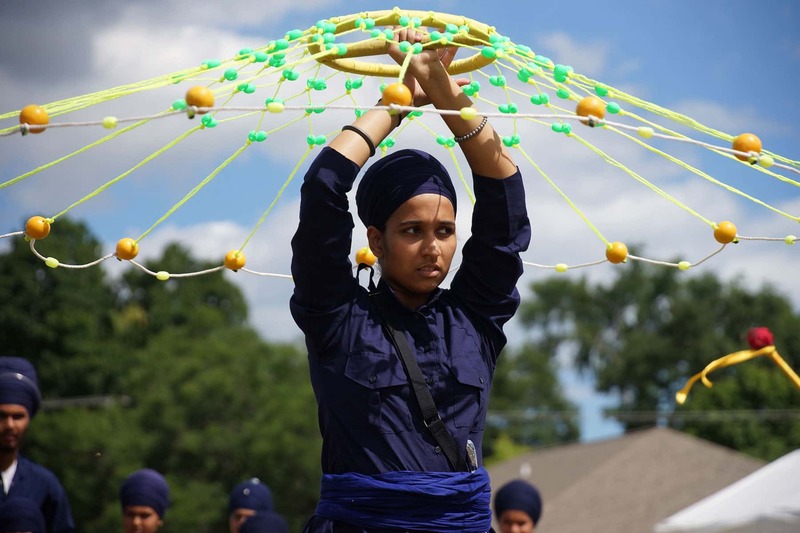 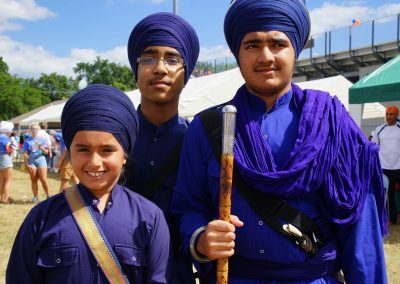 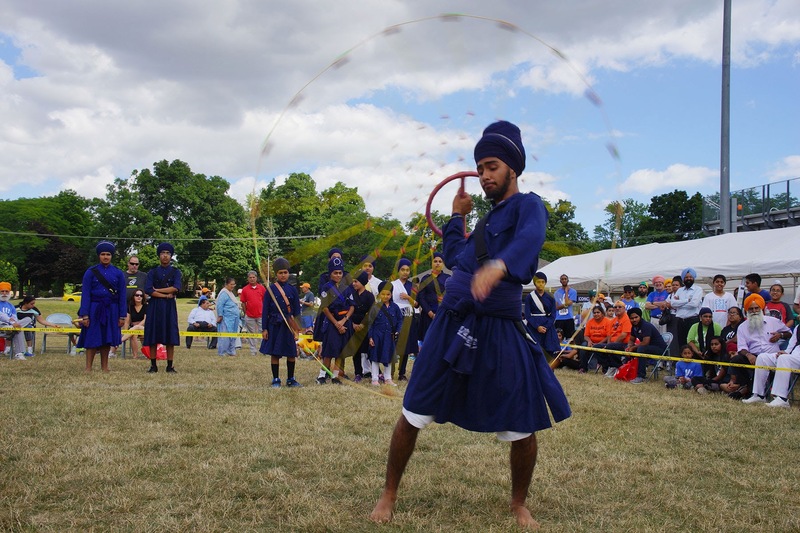 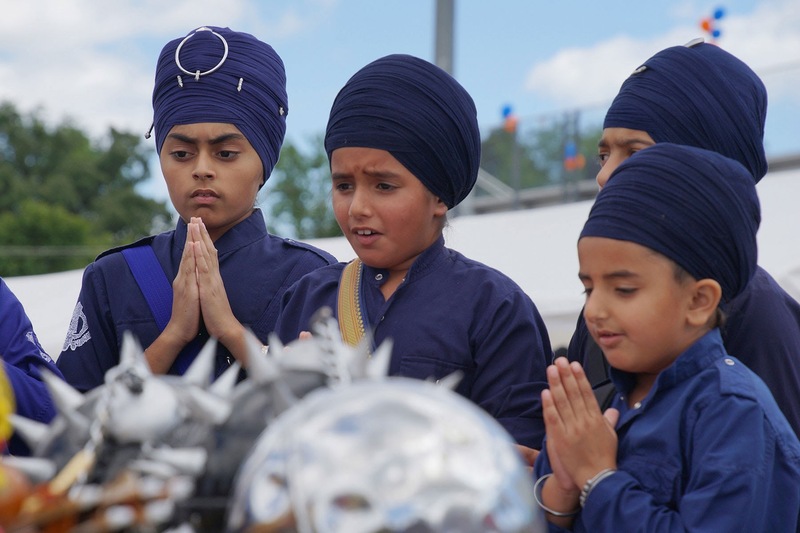 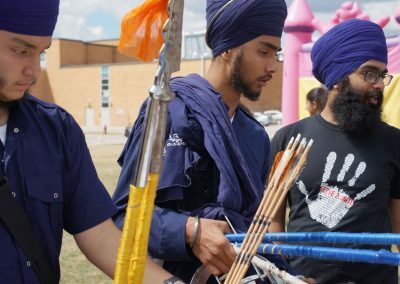 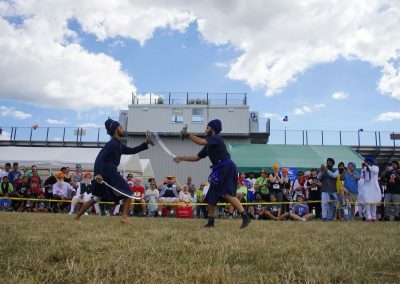 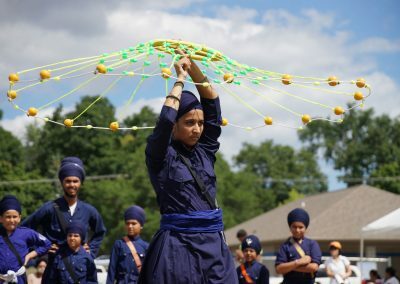 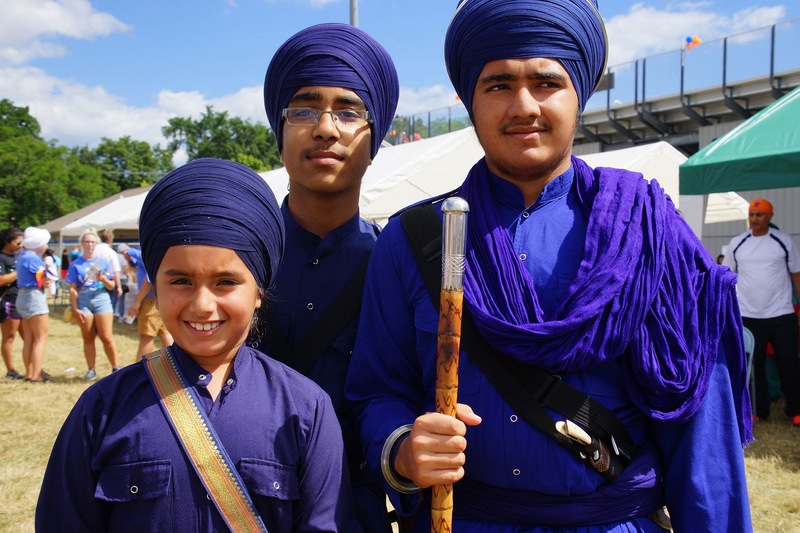 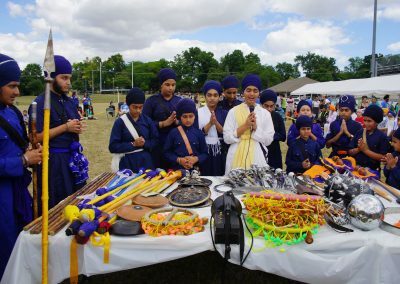 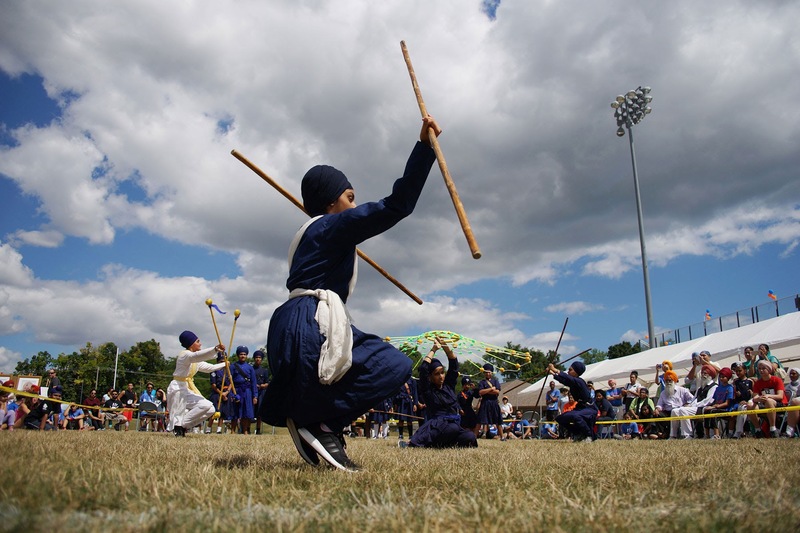 Developed by Sikhs centuries ago, Gatka is a traditional South Asian form of training. 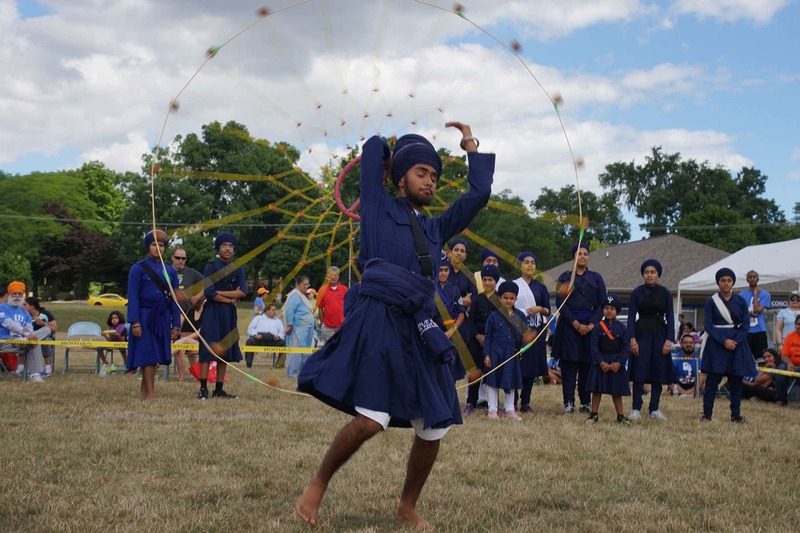 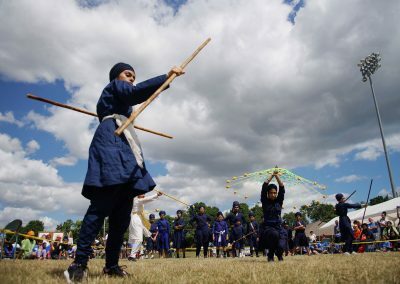 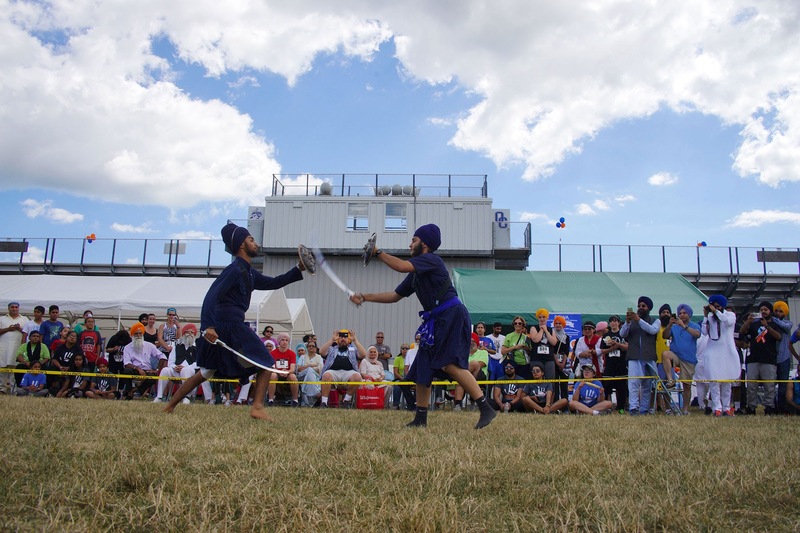 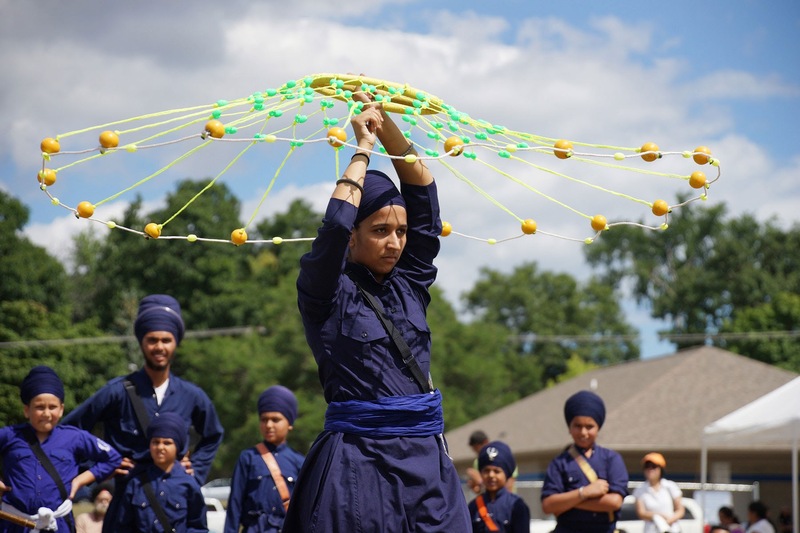 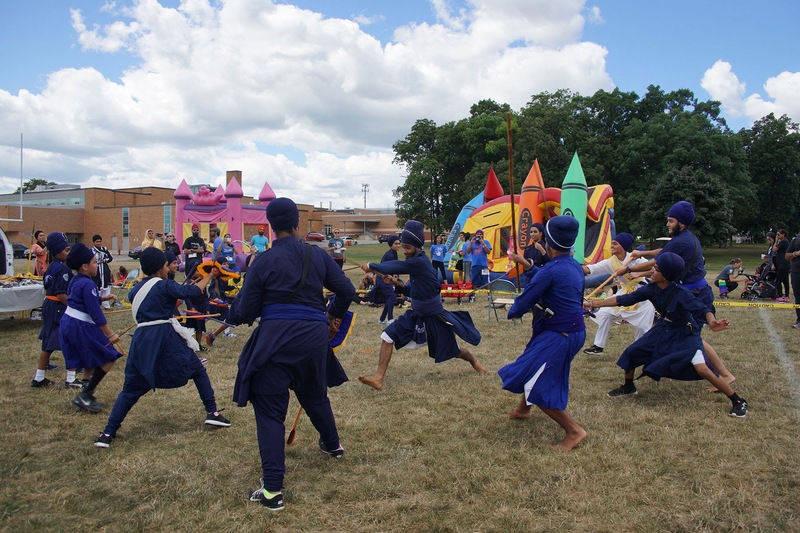 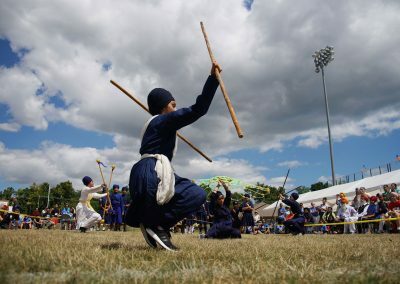 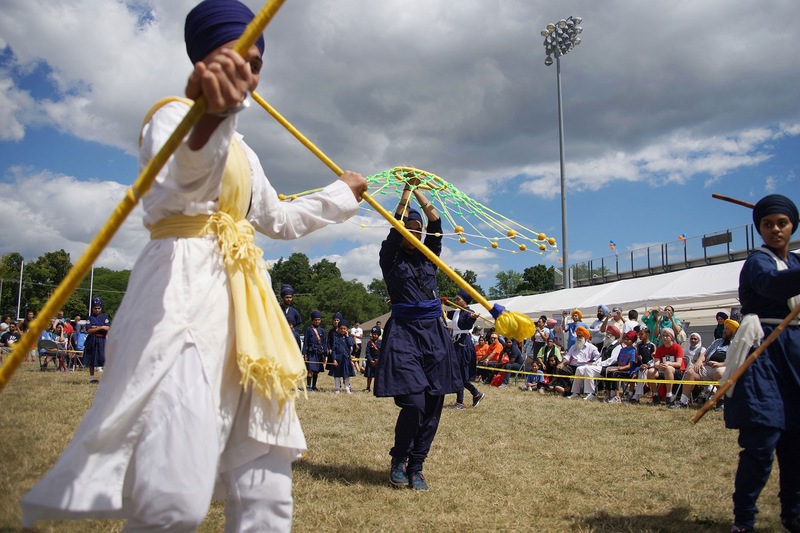 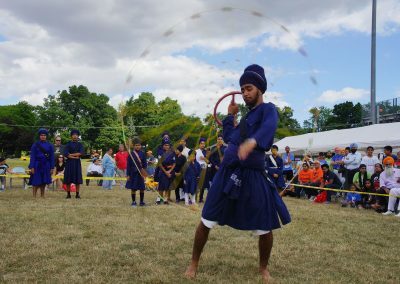 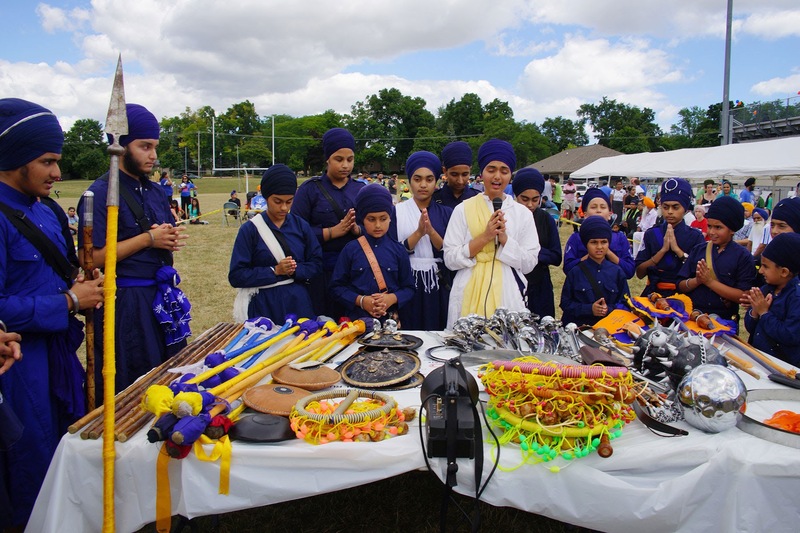 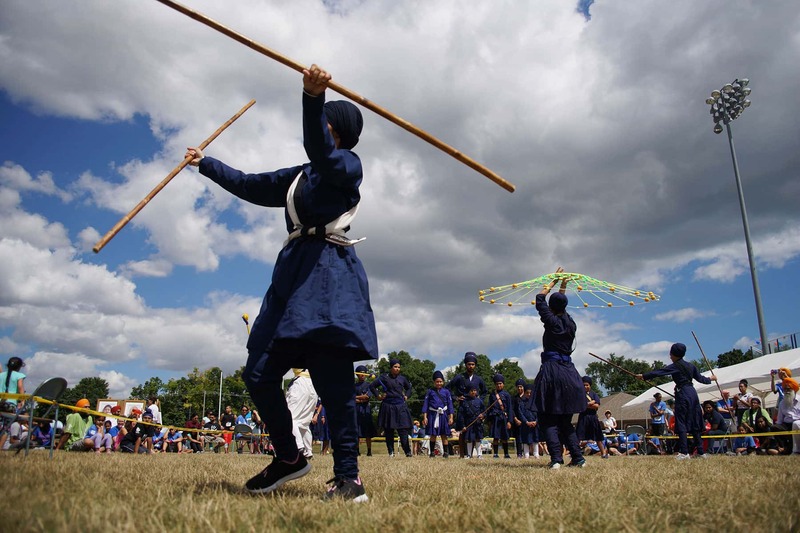 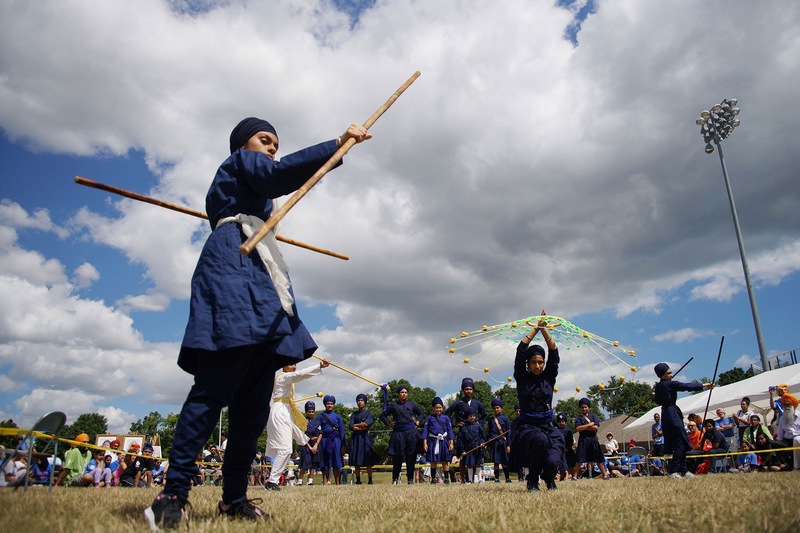 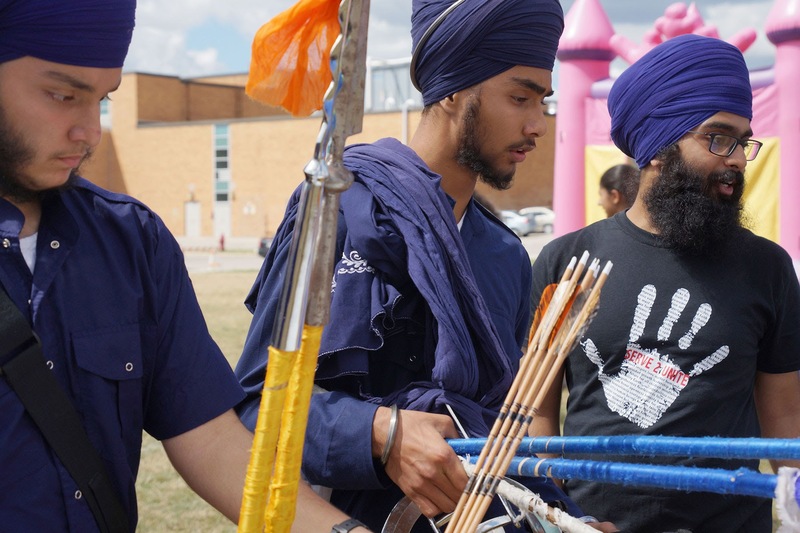 Commonly referred to as northwestern Indian martial arts, Gatka can be practiced either as a sport or ritual.